Sunday request program presented by Peter Paul Portelli, Pauline Zahra and George Sammut. Enjoy 1 hour of your favourite songs. Hallejtna f’dawn iz-zmien tal-Gimgha l-Kbira u l-Ghid Mqaddes li inti tant kont thobb! 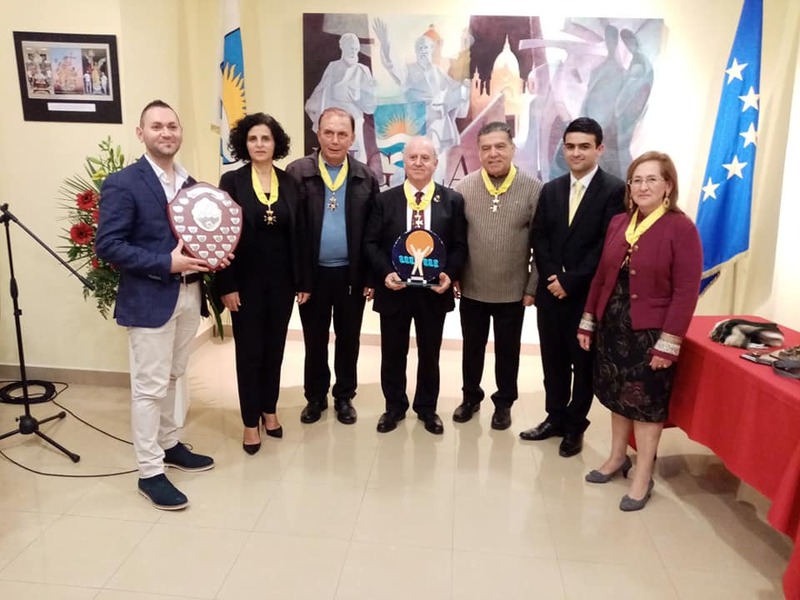 Karmnu se nibqghu niftakru b’ghozza il-hidma volontarja tieghek f’diversi oqsma fir-rahal, ic-cajt u t-tbissima tieghek! ​Grazzi tal-esperjenzi sbieh! Strieh fis-sliem Ghaziz Karmnu! Illejla l-Arċisqof Charles Scicluna se jiċċelebra s-Sagramenti lil tmien adulti li huma minn seba’ pajjiżi differenti: Malta, iċ-Ċina, l-Ungerija, Spanja, ir-Repubblika Ċeka, ir-Russja u t-Turkija. Is-sagramenti huma msejjħa bħala dawk tad-Dħul fil-Ħajja Nisranija għaliex l-Arċisqof se jamministra l-Magħmudija, l-Griżma u t-Tqarbin lil dawn il-persuni li f’età adulta agħżlu l-ħajja Nisranija. It-tmien adulti se jirċievu dawn is-sagramenti waqt il-Vġili Solenni tal-Qawmien tal-Mulej mill-Imwiet fil-Konkatidral ta’ San Ġwann. Matul ir-Randan, dawn il-persuni ltaqgħu mal-Arċisqof Scicluna bi tħejjija għal dan il-mument importanti f’ħajjithom. Waħda minn dawn il-katekumeni hi mara 43 sena li ġiet Malta sentejn ilu biex titgħallem l-Ingliż. Minkejja li trabbiet f’pajjiż Musulman, ommha, li hija Nisranija, għadditilha t-tagħlim u l-valuri Nsara. Cristina dejjem kellha xewqa kbira li tħaddan il-fidi Nisranija. F’Malta ltaqgħet mas-sorijiet Dumnikani li introduċewha ma’ katekista mill-parroċċa ta’ Ħal Lija li qed takkumpanjaha f’din il-mixja ta’ fidi li ser twassalha biex issir membru ġdid tal-Knisja Kattolika. Iċ-ċelebrazzjoni tal-Vġili tal-Għid tibda fit-8pm u tinkludi: it-tberik tan-nar li jsir fuq iz-zuntier tal-Konkatidral u jkompli bit-tħabbira tal-Għid; il-qari ta’ siltiet mill-Kotba Mqaddsa u l-kant tal-Glorja; it-tberik tal-ilma, meta l-blandun mixgħul minn nar imbierek fuq iz-zuntier jiddaħħal fl-ilma; u l-liturġija tal-Ewkaristija. Tista’ taqra l-istqarrija sħiħa hawn. Packets of cocaine seized by Customs. More than 144kg of cocaine with a street value of just under €16 million were found hidden inside containers at the Malta Freeport on Saturday, in the fourth major seizure of the illicit drug in just two weeks. The latest haul means Malta Customs have seized more than 350kg of cocaine which was being shipped to Europe via Malta in the last 14 days, and more than 750kg of cocaine in 2019 so far. Customs have also made other major cocaine seizures in the past months, with two hauls in March netting €39m worth of the drug and other seven-figure catches in previous months. Customs officials found Saturday’s haul hidden in refrigeration units of three containers heading to Albania and Montenegro. All three containers, which came from an undisclosed South American country, had been flagged for scanning by the Customs Container Monitoring Unit. Two of the containers were en route to Durres in Albania, and were carrying a total of 40 packets of cocaine weighing 48kg. The third container, which was heading for Bar in Montenegro, was carrying 80 packets of cocaine weighing 96kg. In total, the 144kg of cocaine seized are estimated to have a street value of €15.7 million. In a statement, the Customs department thanked the Malta Freeport, police and Armed Forces for their role in what they said was 12-hour operation. A magistrate is leading an inquiry into the case, which has now been handed over to the police anti-drug squad. L-Isqof t’Għawdex Mario Grech sostna li min iħobb tassew, jibqa’ jħobb anke jekk il-maħbub iġiegħlu jbati. Dan qalu fl-omelija tat-Tifkira Solenni tal-Ikla tal-Mulej fil-Katidral tal-Assunta fir-Rabat Għawdex. Mons Grech sostna li Ġesù tant kien iħobb lill-Appostli li minkejja li kien jaf x’se jiġri minnhom, xorta kiel magħhom. Sostna li l-imħabba waslitu biex mhux biss jirriskja li l-Lhud “jaqbduh” u “jgħadduh proċess”, imma wkoll li dawk stess li kienu fuq il-mejda jferuh u jweġġgħuh. Tenna li Ġesù jħobb lill-bnedmin b’imħabba feruta. L-Isqof Grech semma kif waħda mill-għafsiet ta’ qalb li Ġesù ġarrab f’dik il-lejla kienet id-delużjoni kbira li tawh l-Appostli, għax minkejja li tant kemm kien ilu jiftaħ qalbu magħhom, dawn baqgħu m’aċċettawhx. L-att tiegħu tal-ħasil tar-riġlejn ried juri li Alla mhux dak li jinqeda bil-bniedem, imma dak li jaqdi lill-bniedem. Mons. Grech insista li Ġesù ried ifissrilhom li l-ħbieb ta’ Alla m’humiex dawk li huma “puri” u spiritwalment indaf, imma dawk imdensin u impuri. Bil-ġest tiegħu tal-ħasil tar-riġlejn, Mons. Grech qal li Ġesù xtaq jgħinhom jifhmu li Alla ma jħobbhomx għax huma jħobbuh, imma huwa jħobbhom bit-tama li huma jħobbuh lura, anzi jħobbhom anke jekk huma ma jħobbuhx. Waqt l-omelija, Mons Grech sostnali ħafna drabi, bħal Pietru, il-bnedmin jirrifjutaw l-imħabba u l-ħniena ta’ Alla, mhux għax bla rispett, imma għax hemm ‘rispett żejjed’. Qal li dan l-aġir għax il-bnedmin ma jafux li minkejja l-miżerja u t-taħwid ta’ ħajjitna, Alla jibqa’ l-Missier li jħobb u li Ġesù sar bniedem biex jgħin lill-poplu jqum fuq riġlejh. Kompla jgħid kif ir-riġel għandu tifsira simbolika. Mons. Grech qal li r-riġel ifisser li l-bniedem huwa kapaċi jieqaf dritt u jżomm wieqaf, waħdu mingħajr bżonn ta’ ebda appoġġ, u hekk huwa ħieles li jmur fejn irid. Ghal sena ohra ergajt ghamilt l-Artal tar- Ripozizzjoni tal knisja tal Qalb ta Gesu fin- Nadur.. Nixtieq nghid grazzi kbira lill Sunta Portelli Vella ta' ghajnuna li tatni matul dawn il jiem. Knisja tal-Qalb ta' Gesu fin-Nadur. Photo1. On Maundy Thursday (Ħamis ix-Xirka), there is a ancient tradition of visiting the seven churches where the Blessed Sacrament is placed at the Altar of Repose (Is-Sepulkru) at the Basilica of Nadur. Photo 2. The Last Supper ( Ic-Cena tas-Sinjur ) gewwa Dar Dun Frangisk Grima fin-Nadur. Photo 3. The Tomb of Christ. ( Il-Qabar ta' Kristu Il- gewwa Dar Dun Frangisk Grima fin-Nadur. 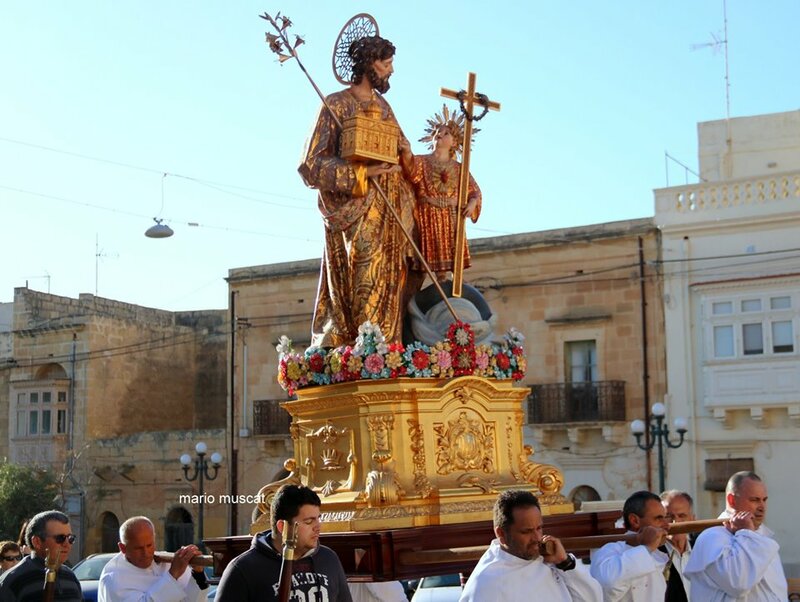 The Passion statuesIt’s been 100 years since the first Good Friday procession in Żebbuġ, Gozo. ​The Crucifix of 1919, St John the Evangelist and Mary of 1966 and Mary Magdalen of 1967. Malta hija meqjusa fost l-aktar pajjiżi siguri għan-nisa. Dan ħareġ minn statistika li kienet ippubblikata minn New World Health. Ir-rapport li sar mill-grupp ta’ riċerka li huwa bbażat f’Johannesburg, fl-Afrika t’Isfel, Malta hija t-tieni l-aktar post sigur fid-dinja wara l-Awstralja. “Is-sigurtà tan-nisa huwa l-aħjar mod kif wieħed jista’ jiddetermina l-potenzjal ta’ tkabbir tal-ġid ta’ pajjiż,” jispjega r-rapport. Minn 195 pajjiż li kienu kkunsidrati fir-rapport, 58 biss kellhom statistika dwar kriminalità li setgħet tiġi fdata. Ir-riżultati u l-gradwatorja tal-pajjiżi kienet ibbażata fuq fuq il-perċentwal tal-popolazzjoni li kien safa vittma għal reati relatati ma’ stupru, traffikar uman, skjavitù, u attakki ġenerali fuq in-nisa matul din l-aħħar sena. Bliet kbar Ewropej bħal Pariġi u Londra raw tnaqqis fis-sigurtà tan-nisa matul dawn l-aħħar snin.L-indiċi jindika wkoll l-aktar pajjiżi siguri għan-nisa skont ir-reġjun, b’Malta tkun meqjusa bħala l-aktar sigura għan-nisa fl-Ewropa. Il-ħames l-aktar pajjiżi sguri għan-nisa fuq skala dinjija huma: l-Awstralja, malta, l-Iżlanda, New Zealand, u l-Kanada. Min-naħa l-oħra l-aktar pajjiżi siguri għal nisa fl-Ewropa huma: Malta, Monaco, l-Iżlanda, u l-Iżvizzera. Fl-Ażja Paċifika l-aktar pajjiżi siguri huma: l-Awstralja, New Zealand, il-Ġappun u l-Korea t’Isfel. Fl-Afrika l-pajjiżi l-aktar siguri huma l-Mauritius, il-Botswana u n-Namibia. Filwawt li fir-reġjun tal-Americas l-aktar siguri huma l-Istati Uniti u l-Kanada. ​Photo of parked car surrounded by freshly-laid tarmac fuelled controversy on FacebookA photo of a parked car surrounded by freshly-laid tarmac has done the rounds on social media amid questions on certain work practices being adopted during road resurfacing jobs. The parked car surrounded by freshly-laid tarmac in St Paul’s Bay, which fuelled controversy on Facebook and raised questions on the manner in which the works were being done. 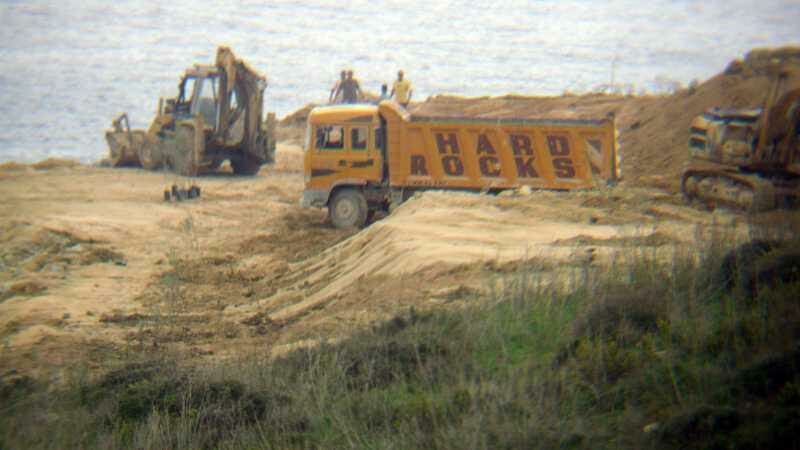 Infrastructure Malta, which was responsible for the job, insisted this was an exception as towing away the vehicle would have damaged it. The bizarre incident happened on Monday in Isouard Street, St Paul’s Bay, during emergency work to repair 17 residential roads in the locality. The images uploaded on Facebook stoked a debate and prompted questions on the reason why the vehicle had not been towed away before the work, which had been announced days in advance, started. 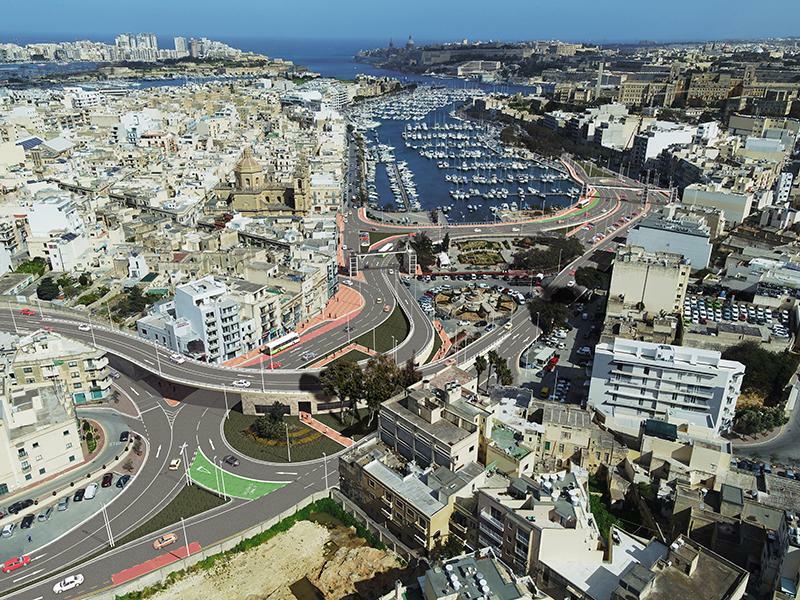 Others poked fun at Infrastructure Malta saying it made no sense at all to forge ahead with work without ensuring the road was completely clear. Contacted by Times of Malta, an Infrastructure Malta spokesman said this was a “unique case”. He noted that the car could not been towed away without being damaged. Though no further details were given on the matter, there were suggestions on Facebook this was due to the fact that the car had automatic transmission. The spokesman said the decision to carry on with the work was made to avoid delays. “Works were reorganised to remove the existing asphalt and lay a new surface in the rest of the carriageway,” he said, pledging that the patch where the car was parked would be repaired by Thursday. The timing of the work a few weeks before European and council elections, coupled with the tight completion deadline set for the end of next week, raised eyebrows. Moreover, affected residents told the newspaper that, in some areas, a thin layer of tarmac, no thicker than five centimetres, was being laid and certain roads, like Triq iċ-Ċagħaq, were being resurfaced despite still being in good condition. Asked how long the 17 roads were expected to last, Infrastructure Malta’s spokesman failed to reply but pointed out that this was a temporary measure until they would be reconstructed from scratch under the government’s €700-million programme to rebuild all roads. 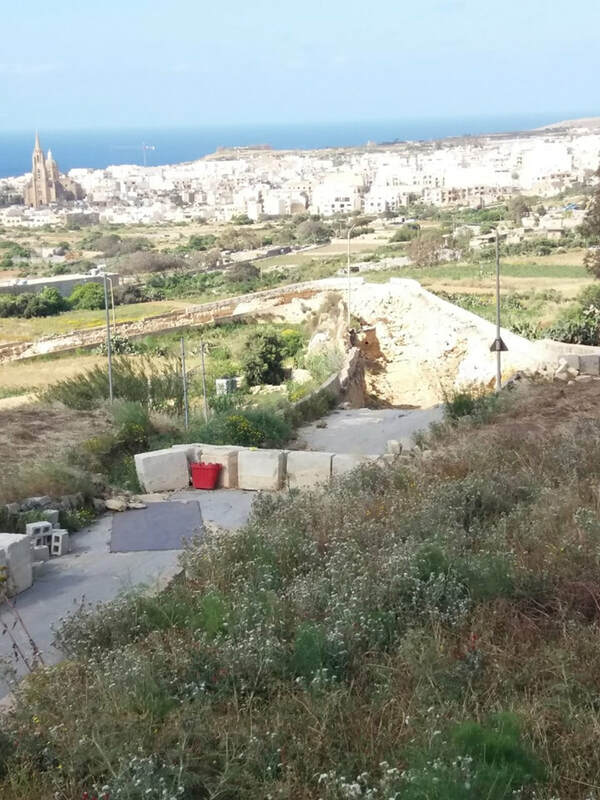 The spokesman blamed the St Paul’s Bay council for leaving the locality’s road in a bad state of repair and insisted that ongoing works were up to standard. The work would involve scraping off the existing tarmac layers, reinforcing deep crevices with sub-base asphalt and resurfacing the road, he said. The spokesman denied claims that asphalt was being laid over the existing surface. The link would prevent Gozo from becoming a society of pensioners, according to Chris Said. The House also approved various amendments moved by the Opposition. Introducing the motion, Gozo Minister Justyne Caruana dismissed fears that Gozo’s unique character would be lost as a result of the link, stating that it was up to the Gozo Regional Development Authority to ensure that the resultant development would not have any deleterious effects. Tourism and economic growth were already having effects on Gozo, and the Ministry for Gozo was working on various initiatives to combat these effects, including a de-carbonisation strategy. Opposition MP Chris Said, who had been a key proponent of the project, said Gozitans were extremely dependent on connectivity with the Maltese mainland, and that successive governments had done their best to develop such connectivity. The permanent link had recently gained momentum, he added, having been included in the electoral manifestos of both the Labour and Nationalist parties in 2017 and following initial studies in 2011. This would be the third legislature to consider the project seriously, and the size of the project meant it merited a serious discussion. Dr Said emphasised the burdens borne by those who were forced to commute from Gozo on a daily basis. At a minimum, he said, these Gozitans faced an additional 15 hours of travel when compared to their Maltese counterparts. 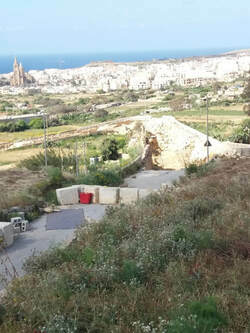 The permanent link would prevent Gozo from becoming a society of pensioners, as Gozitans would be able to remain resident in Gozo while working in Malta with greater ease, and a 2018 study Dr Vincent Marmarà had found that 83% of those in Malta and Gozo - especially among the younger generations - were in favour of the project. Dr Said enumerated various amendments which the Opposition was putting forward to ensure that the project was executed “with attention to the common good.” Among other changes to the motion, the amendments would bind the government to carry out all necessary studies with alacrity and to publish all studies which had been carried out. Prime Minister Joseph Muscat compared the project to the roads leading to Valletta and to Rabat, arguing that infrastructural projects of this nature did not necessarily lead to loss of character in places to which they led. It was up to the competent authorities, he added, to ensure that they did not. He added that the motion before the House would not give the government a blank cheque, but would simply express Parliament’s will for the project to be carried out in the most general terms. Turning to the issue of whether to proceed with an above-ground undersea tunnel or with an underground tunnel, he stated that the exact method by which the project would be executed remained to be seen. However, attempts to minimise the production of construction waste by choosing the former of the two options would lead to massive and irreparable damage to the undersea biosphere. Should any excavated material be used for land reclamation, he added, it would not necessarily lead to an industrial or commercial use for the reclaimed land. He pointed out that, although the Malta Freeport was the first land reclamation project which came to mind when the subject was broached, Msida was also the result of land reclamation which, admittedly, had not been executed “brilliantly”. Referring to the Prime Minister’s comments on the Opposition’s insistence on short-term stopgap measures to ease Gozitans’ commute, Opposition Leader Adrian Delia denied the claim that the Opposition was expecting the government to run roughshod over the adjudication process which was holding up the tender for fast-ferry services. Instead, the Opposition was calling for interim solutions to be identified and provided. Winding up, Infrastructure Minister Ian Borg said Gozitans could no longer be expected to depend on good weather to get to work on time. The tunnel would better unite Malta and Gozo while also mitigating the exodus of Gozitans who uprooted themselves to seek better opportunities in Malta. After approving the motion, the House rose for the Easter recess. Sittings will resume on May 6. Anke hawnhekk bi pjacir il-Kunsill Lokali ikun ta’ ghajnuna kull sena. Titilfux din l-opportunita li zzuruha. Bosta ħbieb, kollegi u familjari urew xokk kbir u taw il-kondoljanzi tagħhom speċjalment minn nies ta’ Ħaż-Żabbar. Huma kienu membri ta’ waħda miż-żewġ soċjetajiet mużikali. Fil-fatt, waħda ħabiba ta’ Graziella qalet li se tibqa’ tgħożż il-memorja tagħha meta kienu jitilgħu l-każin biex jistudjaw xi biċċa mużika bħala section tal-karinetti flimkien. Oħrajn iddeskrivewhom bħala nisa verament ta’ qalb kbira li kienu jmorru jaraw lil oħthom id-Dar tal-Providenza u qatt ma kienu jfallu Ħadd. Oħrajn ħeġġu lill-awtoritajiet sabiex ikun hemm aktar miżuri ta’ sigurtà speċjalment f’dawk it-toroq li bħalissa għaddej xi xogħol fihom. “Issa tal-Balal imiss xi inċident. Nemmen li xogħol għandu jsir imma fi żmien stipulat u jkun hemm naqra sinjali ta’ għajnuna ta’ gwida jgħinu lis-sewwieq,” kitbet persuna fuq il-midja soċjali. Persuna oħra kitbet li wasal iż-żmien li jiħraxu l-pieni għal min isuq bl-addoċċ, fosthom pieni ħorox li jinkludu sentenzi ta’ priġunerija. "Meta kont iżgħar qatt ma kont noħlom xejn. llum immexxi  forn ta' 120 sena u għandi miljun ħolma  Napprezza l-affarijiet żgħar u nipprova ma nieħu xejn for granted"
 On 25 May 2019, Matthew Buttigieg is voting in the #EuropeanElections  He’s determined to #ChooseHisFuture! Are you? Żewġ nisa tilfu ħajjithom f'inċident ikrah 'head-on' li seħħ għall-ħabta tad-9.00 p.m. fi Triq Sir Temi Zammit li hi magħrufa bħala l-bypass tal-Imġarr. Waqt id-diskors tiegħu ġewwa s-Siġġiewi, l-Kap tal-Partit Nazzjonalista (PN) Adrian Delia rringrazza lis-Siġġiwin li kienu hemm għalih u għall-familja tiegħu anka fl-aktar mumenti diffiċli. Hu qal li din hija d-definizzjoni ta’ soċjetà li jimpurtaha. Id-drawwiet, l-użanzi u l-fidi huma dawk li jagħmluna Maltin. M’hemmx għaliex naħsbu li fid-dinja moderna m’hemmx lok li nuru t-twemmin reliġjuż tagħna. Delia qal li huwa l-PN li jħaddan il-valuri demokristjani u mhux se jippermetti lill-Gvern jibqa’ għaddej minn fuq il-valuri u l-morali tat-twemmin Kristjan. Il-Gvern mhux jagħti każ lin-negozjant iż-żgħir. Delia qal li dar ‘il fuq minn 2000 negozju żgħir u kollha qalu li mhux veru li n-negozju sejjer tajjeb. Dwar ir-rapport li ħareġ dwar l-Air Malta, Delia qal li Konrad Mizzi qed jidħak bin-nies. Mizzi qabad id-djun tal-kumpannija u tefagħhom f’isem kumpannija oħra. Iżda ftit ġranet biss wara li ħabbar dan il-profitt, irriżulta li kien hemm dejn ta’ €15-il miljun fl-Enemalta. Il-Ministru Scicluna, il-Ministru tal-Finanzi qal li kien hemm surplus ieħor. Delia qal li dak li suppost kellu jkun surplus, kien deficit. Hu tenna li lil dawn in-nies ma nistgħux nibqgħu nafdawhom biex imexxu lil Malta. Dan il-qerq qed ikollu konsegwenzi kbar fuq Malta. Il-Prim Ministru għandu ċans sa Lulju biex Malta ma titpoġġiex fuq il-Lista s-Sewda. Delia qal li l-Gvern mhux jagħti każ ta’ dan u mhux jieħu passi biex jirrimedja dan kollu. Il-Gvern m’hu jagħti l-ebda sors ta’ tagħma għaż-żgħażagħ. Skont Delia, iż-żgħażagħ qed iħarsu lejn pajjiżi barranin biex isibu futur. Hu tenna li ż-żgħażagħ iridu jingħataw l-aqwa edukazzjoni filwaqt li l-anzjani wkoll iridu jingħataw rikonoxximent ta’ dak kollu li għamlu. Delia saqsa; x’tagħma għandna biex il-pajjiż jieħu r-ruħ? Delia qal li l-PN irid juri li huwa l-partit li jemmen f’pajjiżna, u jqum għall-okkażjoni għal darba oħra. Huwa ħeġġeġ lill-poplu biex joħroġ mid-dar u sitt ġimgħat oħra jivvota mhux għall-PN iżda għall-pajjiż. F’reazzjoni għad-diskors ta’ Adrian Delia, il-Partit Laburista qal li d-diskors ta’ Delia huwa riflessjoni ta’ partit mifrud u li jipprova jgħaqqdu billi jkun negattiv. Il-Partit Laburista qal li wieħed mid-deputati tal-Partit Nazzjonalista ddiskriva din l-attitudni bħala “borġ ġebel” kien “borġ ġebel” għadu. Il-Partit Laburista qal li b’kuntrast ma’ dan il-pajjiż qed ikompli jissaħħaħ minkejja l-oppożizzjoni distruttiva. 60 minutes of your favourite songs. Play anytime for a whole week. The pilgrimage of Our Lady of Sorrows at Victoria Gozo. Video Copyright Carmel Saliba 12.4.19. Mijiet attendew għall-purċissjoni tad-Duluri fit-toroq tal-Belt Valletta. Il-purċissjoni kienet immexxija mill-Arċisqof Charles J. Scicluna. Preżenti kien hemm ukoll l-Arċisqof Emeritu Paul Cremona. Dan il-jum ifakkar is-seba' duluri tal-Madonna, b'Jum id-Duluri jimmarka wkoll il-bidu tal-attivitajiet tal-Ġimgħa Mqaddsa, li uffiċjalment jibdew nhar il-Ħadd bit-tifkira ta’ Ħadd il-Palm. Il-Kamra tan-Negozju għal Għawdex laqgħet il-mozzjoni dwar il-proġett ta-mina li kienet ippreżentata fil-Parlament nhar it-Tlieta li għadda mill-Ministri Ian u Borg u Justyne Caruana. Il-Kamra qalet li dwar it-twettiq ta’ dan il-proġett hemm mandat ċar, bil-proġett inkluż fil-manifest elettorali taż-żewġ partiti. Hi qalet ukoll li dan huwa proġett li ilu propost u sar ħidma fuqu għal diversi snin b’impenn sħiħ minn kull partit li kien fil-Gvern f’dak il-perjodu u bi studji li dejjem urew biċ-ċar li mina taħt il-baħar hija l-aħjar opzjoni bħala konnessjoni permanenti bejn iż-żewġ gżejjer. Il-Kamra tenniet li dan il-proġett għandu jitwettaq bl-iktar mod sostenibbli possibbli u li jkun parti minn strateġija sħiħa li tkompli ssaħħaħ l-iżvilupp soċjo-ekonomiku ta’ Għawdex u jtejjeb il-kwalità tal-ħajja tar-residenti Għawdxin. Dun Mikiel Attard min-Nadur 60 sena ilu meta gie ordnat qassis. Biex iħollna minn kull ħtija! Il-Ministru għat-Trasport Ian Borg u l-Ministru għal Għawdex Justyne Caruana ressqu mozzjoni fil-Parlament dwar il-mina bejn Malta u Għawdex, li fiha spjegaw il-proċess għal dan il-proġett s’issa, u ħeġġew lill-Gvern jibqa’ għaddej bit-tħejjijiet neċessarji. Il-Front Favur il-Mina laqa’ din il-mozzjoni b’sodisfazzjon, filwaqt li l-Partit Demokratiku qal li hu mħasseb b’dan, u appoġġja l-protest ġudizzjarju ta’ 12-il NGO sabiex l-istudji li saru jiġu ppubblikati. Il-Ministri tennew li permezz ta’ din il-konnessjoni, se jingħata servizz ta’ trasport pubbliku b’xejn, liema stqarrija Front Favur il-Mina wriet sodisfazzjon kbir dwarha. Il-Ministri qalu wkoll li fl-iżvilupp ta’ dan il-proġett, għandhom jitħarsu l-ġmiel naturali, l-identità kulturali u ambjentali t’Għawdex. Din il-mozzjoni kienet maħsuba biex tikseb l-appoġġ tal-Parlament kollu. Il-Front appella lill-Membri Parlamentari kollha sabiex jagħtu s-sapport tagħhom għal din il-mozzjoni peress li skontu, ilkoll għandhom mandat biex jagħmlu dan minħabba li l-proġett kien fil-manifesti elettorali li bih il-membri parlamentari kollha ġew eletti. Il-Partit Demokratiku qal li jinsab imħasseb ħafna li l-Gvern ħa d-deċiżjoni mingħajr ma saret evalwazzjoni sura tal-implikazzjonijiet ambjentali u finanzjarji. Martin Cauchi Inglott, is-Segretarju Ġenerali tal-partit, qal li l-PD jinsisti li ma tittieħed l-ebda deċiżjoni finali sakemm l-istudji finanzjarji u ambjentali kollha jitlestew. Nationalist Party MP Hermann Schiavone suspended himself from the party's parliamentary group on Wednesday, days after The Sunday Times of Malta revealed he and another MP had met with 17 Black owner Yorgen Fenech. "Despite knowing I did nothing wrong, I still feel I need to carry responsibility for my lack of attention," Dr Schiavone said in a letter to party leader Adrian Delia. "I feel the controversy is distracting you and the party from continuing its fight for what is right effectively," he said, suspending himself and asking the party to appoint a board to investigate the matter. Dr Schiavone and MP Kristy Debono met with Mr Fenech to discuss a potential sponsorship opportunity for a conference they were organising. Mr Fenech, who serves as a director of the Tumas Group as well as of the Electrogas power station consortium, was revealed to be the owner of 17 Black, a secret company leaked emails suggest was created to funnel money to companies owned by minister Konrad Mizzi and OPM chief of staff Keith Schembri. Kristy Debono 'unfairly criticised'In his letter, Dr Schiavone said that his fellow MP Kristy Debono was not to blame and was being unfairly criticised for the meeting. "I was originally referred to another director but at the last moment was referred to Mr Fenech," he said. "Ms Debono was not informed about the change in appointment and so is facing unjust criticism. In comments to Times of Malta, Ms Debono said that she was not feeling relieved. "I was willing to shoulder responsibility but I'm glad the truth has come out," she said, adding that Dr Schiavone retained her full support. Pledging loyaltyAlthough Dr Schiavone has suspended himself from the PN's parliamentary group, he indicated that he would continue to back the party in parliament. "Although I will not form part of the parliamentary group, I assure you that in parliament I will be following the party line," he wrote to Dr Delia. "I am in politics to serve and have always done all I can to serve any party leader I've had with loyalty and honesty," he said. 'We walk the walk' - DeliaIn a statement, Dr Delia said he accepted his suspension. "This is nothing but a testimony to how PN MPs conduct themselves,” Dr Delia later said, adding that this showed his party was walking the walk, not just talking the talk. Addressing supporters at the PN club in Balzan, Dr Delia thanked Dr Schiavone for his loyalty. Dr Schiavone was elected to parliament for the first time in 2017, following a turbulent path to obtain a seat. In 2003, he was forced to withdraw his electoral candidature as a result of an anonymous letter accusing him of wrongdoing. A decade later, the party banned him from contesting the 2013 general election on a PN ticket, after he accused then-PN MP Franco Debono of being behind that letter. Dawk kollha li għandhom għal qalbhom il-mużika Taljana se jkollhom l-opportunità li jattendu għal kunċert live li se jittella’ minn ħadd ħlief il-kantant Taljan Gianni Morandi. Il-kunċert, li se jsir nhar il-Ġimgħa fl-MFCC, Ta’ Qali, jinkludi aktar minn 40 kanzunetta mir-repertorju tas-suċċessi li kellu Morandi matul iż-żmien. Fost l-iktar kanzunetti popolari li se jkanta nsibu “Occhi di ragazza”, “Scende la piogga”, “La Fisarmonica”, “Non son degno di te”, “Uno su mille”, “Dobbiamo fare luce” u “Una Vita che ti sogno”, bit-tnejn tal-aħħar huma l-iżjed kanzunetti riċenti li huwa ħareġ. Il-kunċert ta’ Morandi f’Malta, li qed jiġi organizzat minn Giuseppe Rapisarda Management, ilu mistenni ħafna sa mill-bidu li ħarġu l-biljetti għalih ftit tax-xhur ilu. Għalhekk fittxu aqtgħu l-biljetti tagħkom qabel ikun tard wisq minn fuq is-sit www.ticketline.com.mt. biex inthom ukoll tgħixu din l-esperjenza mużikali f’serata sabiħa tal-ħolm. Min-naħa tiegħu, l-Ministru għall-Ġustizzja, Kultura u Gvern Lokali Owen Bonnici qal li huwa ta’ unur għall-poplu Malti kollu li jkollna kantant bħal Gianni Morandi magħna li ħafna trabbew jisimgħu d-diski tiegħu. “Naħseb li l-fatt li hawn Gianni Morandi magħna jagħfas ħafna fuq ir-rabta kbira li hemm bejn Malta u l-Italja,” tenna l-Ministru Bonnici. Morandi, li llum għandu 74 sena, beda l-karriera mużikali tiegħu fl-1962 u kklasifika minn ta’ quddiem kif ukoll rebaħ numru ta’ festivals popolari Taljani, inkluż il-festival Canzonissima tal-1969. Sena wara, fl-1970, huwa rrappreżenta lil pajjiżu fil-Eurovision Song Contest bil-kanzunetta “Occhi di Ragazza”. Għalkemm il-karriera tiegħu ma baqgħetx tissemma daqstant fis-snin 70, huwa kellu reġa’ lura bis-suċċess tiegħu fis-snin 80 fejn fl-1987 rebaħ il-Festival ta’ Sanremo bil-kanzunetta “Si può dare di più" flimkien ma’ Enrico Ruggeri u Umberto Tozzi. Huwa mifhum li l-kanzunetti tiegħu “In ginocchio da te”, “Non son degno di te” u “Scende la piogga”, kellhom suċċess kbir b’bejgħ ta’ ‘l fuq minn miljun kopja. Minbarra li huwa kantant, Morandi kellu wkoll l-opportunità li jaħdem xeni f’diversi serji televiżivi Taljani kif ukoll kien il-preżentatur f’diversi xows popolari televiżivi Taljani. Tliet snin ilu, Gianni Morandi għamel tour bl-isem ta’ “Capitani Coraggiosi Tour” flimkien ma’ kantant popolari ieħor, Claudio Baglioni. Flimkien miegħu kellu x-xorti wkoll li jippreżenta wħud mill-aħħar festivals ta’ Sanremo. Gozitan priest Giovanni Cefai has been appointed bishop of Santiago Apóstol de Huancané, Perú. Born in Zebbug, Gozo, on 5 August 1967, Cefai joined the Missionary Society of St Paul in 1984. He studied in London and Malta, and was ordained a priest in 1997. He served the church in Malta between 1997 and 1999 before moving to Peru, where he was appointed parish priest of the Santa Cruz parish, in the Arequipa archdiocese. The diocese under his responsibility has more than 200,000 citizens, with 170,000 of them Catholics. Judge Lorraine Schembri Orland was elected to the European Court of Human Rights following a vote on Tuesday. She was one of three candidates put forward by Malta for the role. The other two final candidates were deputy Attorney General Dr Victoria Buttigieg and Madame Justice Abigail Lofaro. She obtained an absolute majority of votes cast, and will be elected ECHR judge for a term of office of nine years, starting in September. Madam Justice Schembri Orland will be the first Maltese woman in history to be elected as ECHR judge. She was first appointed to the bench back in 2012. She currently presides over the Civil Court, First Hall which has civil competence, as well as original jurisdiction in matters of Fundamental Human Rights as guaranteed by the Maltese Constitution and by the European Convention on Human Rights. The three Maltese candidates for the post were interviewed by the Council of Europe's Election of Judges committee, which eventually recommended her as the most qualified candidate. The next and final step the plenary vote which took place earlier on Tuesday. Madame Justice Schembri Orland concluded her Doctorate of Laws (LL.D.) at the Univeristy of Malta in 1986. In 1996 she concluded her Magister Juris in European Law -(M.Jur.) (Eur. Law) also from the University of Malta. Between 1991 and 1993, she was a member of drafting committee entrusted with broad legislative reforms to the Constitution of Malta. Prior to becoming a judge, she had held positions with the European Council of Women, was a member of the National Consultative Committee on Bioethics, was a member of the founding committee of San Blas Drug Rehabilitation Centre set up by Caritas (Malta), and others. Il-gazzetta Kattolika “The Catholic Herald” ippubblikat il-lista’ tal-għar għaxar postijiet madwar id-dinja fejn hu diffiċli li tkun nisrani minħabba l-persekuzzjoni li hemm fihom. Korea ta’ Fuq Impossibbli tkun taf eżatt kemm hemm insara fil-Korea ta’ Fuq għax dawn huma meqjusa bħala għedewwa tal-Istat għax jemmnu f’awtorità li hi ogħla minn Kim u allura jridu jżommu t-twemmin tagħhom sigriet kompletament – anke minn xulxin. Hu stmat li hemm bejn 200,000 u 400,000 li bejn 50,000 u 70,000 minnhom jinsabu priġuneri f’kampijiet tax-xogħol. Afghanistan Anke fl-Afghanistan l-insara jridu jżommu t-twemmin tagħhom sigriet assolut. L-Islam hu meqjus bħala parti mill-identità Afghana u huwa llegali li wieħed jitlaq din ir-reliġjon. Min jinqabad li bidel ir-reliġjon, jintbagħat fi sptar mentali, imsawwat jew maqtul. Għalhekk hemm eluf ta’ nsara li jgħixu r-reliġjon tagħhom fis-sigriet. Hawnhekk il-Militanti Islamiċi ta’ al-Shabab joqtlu lill-insara jekk jiskopru t-twemmin tagħhom. Il-grupp iddikjara li “irid li s-Somalia tkun ħielsa mill-insara kollha”. L-Islam hu meqjus bħala reliġjon vitali għall-identità Somala u għalhekk fil-pajjiż hemm mijiet ta’ nsara bil-moħbi. Il-Libja Mill-insara li hemm fil-Libja, madwar 38,000 huma ħaddiema emigranti. Dawn jitħallew jiltaqgħu biex jitolbu imma spiss ikunu attakkati minn radikali Islamiċi. Hu projbiet li fil-pajjiż jidħlu kopji tal-Bibbja bl-Għarbi jew li taqsam il-Vanġelu mal-Musulmani. Jekk titlaq l-Islam titqies bħala li ttradejt l-identità Libjana. Pakistan L-insara f’dan il-pajjiż jagħmlu biss 2% tal-popolazzjoni ta’ madwar 3.9 miljun persuna. Dawn huma suġġetti għal Liġi drakonjana dwar id-dagħa li tista’ twassal għall-mewt jew ħabs. L-insara hua suġġetti għal diskriminazzjoni kemm fil-qasam tal-edukazzjoni kif ukoll f’dak tax-xogħol. Xogħol meqjus bħala ‘maħmuġ’ hu riservat għall-insara. Is-Sudan Mill-1989 ‘l hawn, li tħalli l-Islam biex issir nisrani hu llegali u punibbli bil-mewt. Il-politika awtoritarja tal-Gvern ta’ al-Bashir li taċċetta reliġjon waħda biss hi segwita b’modd mill-aktar rigoruż. Il-liġijiet dwar id-Dagħa jintużaw kontra l-insara speċjalment dwar “atti li jinkoraġixxu l-apostasija kontra l-Islam”. Hemm madwar żewġ miljuni nsara jgħixu f’dan il-pajjiż. Eritrea Mit-2.5 miljun nisrani li hemm jgħixu fl-Eritrea huma biss dawk membri tat-tliet reliġjonijiet rikonoxxuti mill-Gvern (fosthom il-Knisja Kattolika) jistgħu jipprattikaw ir-reliġjon tagħhom. Kulmin hu membri ta’ xi knisja “mhux reġistrata” hu meqjus bħala għadu tal-Istat. L-insara jistgħu jintbagħatu l-ħabs għal snin twal, jew jagħmlu xogħol furzat fl-għelieqi jew jinżammu f’containers. Il-Yemen Fil-Yemen l-insara li minnhom hemm biss ftit eluf, iridu jgħixu f’segretezza kompleta. Il-poplu kollu hu meqjus bħala Musulman u jekk tħalli l-Islam tkun kundannat għall-mewt. Min jitlaq l-Islam ħafna drabi jinqatel mill-familja Musulmana tiegħu stess. L-Iran It-800,000 nisrani fl-Iran jitqiesu bħala theddida għar-Republika Islamika. Hu projbit li wieħed jagħmel servizzi tar-reliġjon tiegħu bil-lingwa tal-pajjiż, il-Farsi jew li jdaħħal letterutra nisranija fil-pajjiż. Hemm peini twal ta’ ħabs għal “delitti kontra s-sigurtà nazzjonali għal kull Persjan etniku li jikkonverti mill-Islam jekk ma jżommx il-fidi tiegħu sigrieta. Għalkemm l-insara Armeni u mill-Assirja huma liberi li jipprattikaw ir-reliġjon tagħhom, huma jkunu diskriminati jew jintbagħtu l-ħabs jekk ikun suspettati li qed jaqsmu l-Vanġelu ma’ Muslumani. L-India Għalkemm fl-Indja hu stmat li hemm madwar 64 miljun nisrani dawn jagħmlu anqas minn 5% tal-popolazzjoni. Il-pajjiż hu mmexxi mill-Partit tal-Hindu li jqisu din ir-reliġjon bħala parti mill-identità tal-poplu. Grupp militanti assoċjat mal-partit fil-Gvern iddikjara li jrid jara lill-insara kollha jitilqu jew jitkeċċew mill-pajjiż sa tmiem l-2021. Kull sena jitwettqu eluf ta’ attakki kontra l-insara bla ma jittieħdu passi kontra min iwettaqhom. Kienet deskrizzjoni makabra dik li rrakkonta l-uffiċjal investigatur ewlieni fil-qtil-doppju f'Ħal Għaxaq. Hekk kif quddiem il-Maġistrat Joseph Mifsud bdiet tinstema l-kumpilazzjoni dwar il-qtil ta' Marija Lourdes Bonnici u bintha Angele, l-Ispettur Keith Arnaud spjega kif Joseph Bonnici l-ewwel qata d-dawl mbagħad sejjaħ lil oħtu. X'ħin daħlet huwa sparalha f'darha, reġa' ikkarga l-pistola u sparalha tir ieħor waqt li kienet mal-art. Imbagħad qabad mazza u kisrilha rasha biha biex jiżgura li kienet mejta. Wara sejjaħ lil ommu u x'ħin daħlet sparalha tir. L-Ispettur Arnaud sostna li kemm l-omm kif ukoll il-bint ma kinux jintagħrfu u wara l-qtil huwa libbishom borża tal-iskart f'rashom, kaxkarhom fil-karozza qabel ma filgħaxija ħadhom f'għalqa u difinhom bl-omm taħt oħtu qabel ma tefa fuq il-ħamrija l-ġir biex ir-riħa ma tinxtamx. Ix-xhud żied li wara li qalilhom li kien rema l-pistola bidel il-verżjoni u wriehom fejn kien ħbieha waqt li dwar il-mazza qalilhom li kien tefaha fi skip tal-Wasteserv f'Ħal Għaxaq stess. L-Ispettur Arnaud semma wkoll fix-xiehda tiegħu kif mill-investigazzjoni tagħhom irriżulta li huwa kien waħħal f'ommu għall-fatt li missieru qatel koppja ġara u kien qed jissuspetta li oħtu riedet tibgħatu l-ħabs. Spettur ieħor li kien involut fl-investigazzjoni, John Spiteri, xehed li qarib tal-familja kien qalilhom kif Angele kienet qalet li ħuha kien abbużaha sesswalment snin qabel. Madankollu Bonnici ċaħad dan u sostna li oħtu riedet il-flus biex tixtri BMW u kien meta rrifjuta li jagħtiha l-flus li hija għamlet rapport lill-Pulizija. 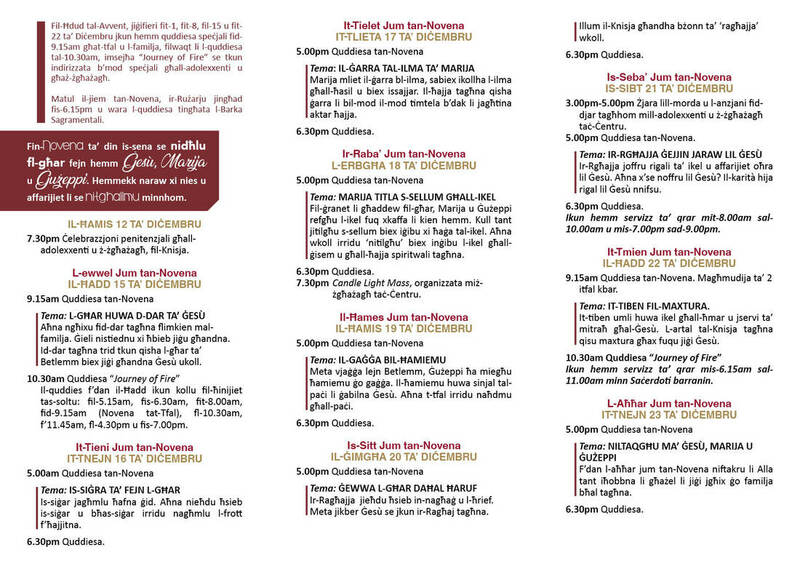 L-Ispettur Spiteri żied li meta l-omm u l-bint kienu rappurtati neqsin, l-awtoritajiet tal-Ħabs fejn jinsab Paul Bonnici – ir-raġel ta' Marija Lourdes u missier Angele – qalulu li ried ikellem lill-Pulizija. Fil-fatt huwa qalilhom li kien konxju li kien hemm xi nkwiet bejn uliedu imma meta dakinhar tal-għibien ibnu mar iżuru qallu li ma kienx jaf fejn kienu ommu u oħtu. Paul Bonnici qal ukoll lill-Pulizija li martu kienet tkellmu kuljum u meta ma kinietx se tattendi kienet tinfurmah u għalhekk raha stramba li ma semax mingħandha. Ix-xhud żied li l-akkużat anke mar fuq il-post tax-xogħol ta' oħtu jistaqsi għaliha qabel ma għamel ir-rapport lill-Pulizija. Huwa semma wkoll kif meta marru d-dar tal-familja Bonnici xammew riħa qawwija ta' pitrolju u meta kellmu lill-akkużat dwar dan qalilhom li kien jużah biex ibiegħed l-insetti. L-Ispettur Spiteri żied li l-akkużat ipprova jagħtihom x'jifhmu li ommu u oħtu setgħu ħarbu minn Malta wara li missieru kien ikkudannat iħallas €80,000 lill-qraba tal-vittmi tiegħu. Xhud oħra li tat il-verżjoni tagħha kienet it-tfajla ta' Joseph Bonnici fejn din irrakkuntat kif meta saret taf taha ħass ħażin bix-xokk. Hija spjegat kif huma kienu ilhom jgħixu flimkien fid-dar tal-familja Bonnici għal disa' snin għalkemm separatament mill-omm u l-oħt. Waqt li semmiet kif ma kienux daqshekk viċin tal-omm u l-bint, it-tfajla semmiet kif Angele darba kienet qaltilha li ħuha kien missha meta kienu żgħar imma ma tagħtix dettalji. Hija semmiet kif darba saret taf li eks-tfajla tiegħu kienet ikkommettiet suwiċidju imma qatt ma tkellmet miegħu dwar dan bħalma lanqas ma kienet titkellem miegħu dwar meta missieru qatel żewġ ġirien. It-tfajla iddeskriviet lis-sieħeb tagħha bħala ġuvni tant kwiet li lanqas ikellmek jekk ma tkellmux u qalet li huwa l-iktar persuna “tal-ġenn” li qatt iltaqgħet miegħu tant li ħariġha minn relazzjoni abbużiva li kellha. Kien waqt li semmiet kif dejjem irrispettaha u ħabbha u lanqas kien ikun aggressiv lejn l-annimali li l-akkużat intlemaħ jolfoq. Il-kumpilazzjoni tkompli f'seduta oħra bl-akkużat qed jidhru għalih l-Avukati Franco Debono u Marion Camilleri. Fuq talba tal-Isqof Mario Grech b'approvazzjoni tad-Direttur Ġenerali tal-Faċilità Korrettiva ta' Kordin u kkonfermata minni, inkitbet l-istorja fejn għall-ewwel darba 27 resident fil-Faċilità inħargu u ttellgħu fil-Ġżira ta' Għawdex għall-Pellegrinaġġ għas-Santwarju Nazzjonali tal-Madonna Ta’ Pinu, fejn hemmhekk saret quddiesa u sar talb għar-residenti fil-Faċilità, il-ħaddiema u l-familji tagħhom. Il-quddiesa immexxija mill-Isqof Grech saret fl-okkażjoni tas-Sena Marjana sabiex jiġi mfakkar l-400 sena tal-Kwadru devot tal-Madonna ta' Pinu. Photos by Chevalier Carmel Saliba. The European Parliament election will be held on Saturday 25 May with the Electoral Commission formally kicking off the process on Monday. The commission gave notice in the Government Gazzette that it will be organising an election to choose Malta’s six MEPs in just over a months’ time. On the same day, elections will be held to elect local councillors in each of the 68 localities across Malta and Gozo. The notice in the Government Gazzette kicks off the election process that starts with the submission of candidate names to appear on the ballot sheet. The European Parliament election next May will be Malta’s fourth since joining the EU in 2004. For this election, all of Malta and Gozo will be considered as one district. A man was killed and another two were injured in a drive-by shooting in Birżebbuġa on Saturday night. The incident happened in Triq tal-Ġebel at around 11pm, with one of the injured men contacting police and reporting the shooting. All three victims are migrants who were walking when they were shot at by a man in a Toyota Starlet. Sources said the victims were found spread out across a stretch of Triq tal-Ġebel, a country lane often used by migrants walking to and from the open centre in Ħal Far. The fact that victims were not together has perplexed investigators, who are still trying to understand what motivated the murder. They have not excluded that it may have been a racially motivated attack. The shooter is still on the run. The area where the men were shot is well covered by CCTV cameras. Identity confusionOn Sunday evening, the police said that the murdered man was a 42-year-old from the Ivory Coast and that they were still trying to confirm the identities of the two injured men. One of them, a 22-year-old who lives in Ħal Far, was grievously hurt. The other was seriously injured in the shooting. On Sunday evening, the police said that their initial description of the second injured man as being 45 and from Georgia was mistaken, and he has yet to be identified. Both men are receiving treatment at Mater Dei Hospital. Only a week ago, a mother and her daughter were found shot dead and partially buried in a field. Video Copyright Carmel Saliba 6.4.19. Bishop Grech said, “from my heart I trust that despite the many commitments, that you will manage to find some time for personal prayer.”Later, the President was also expected to visit the National Shrine of Our Lady of Ta’ Pinu. Dalgħodu l-Arċisqof Charles Scicluna u l-Isqof Awżiljarju Joseph Galea Curmi kif ukoll il-Prim Ministru Joseph Muscat u l-Membri Parlamentari ltaqgħu mal-President il-ġdid, George Vella. Mons. Scicluna awgura l-isbah xewqat lil Vella filwaqt li ppreżentalu statwa ta’ San Ġorġ bħala rigal. Fost dak li tkellmu dwaru, Mons. Scicluna tkellem dwar il-komunitajiet ta’ immigranti differenti li jagħmlu użu mill-binjiet tal-knisja. Ilbieraħ fid-diskors tiegħu quddiem l-ogħla awtoritajiet tal-pajjiż, l-Arċisqof Scicluna wissa li “jekk l-ewwel u l-unika ħaġa li nfittxu tkun il-qligħ jew il-profitti, minn demokrazija nsiru kerdokrazija (soċjetà mmexxija mill-ġirja għall-profitt) u malajr niżżerżqu lejn il-kleptokrazija (soċjetà fejn il-poter huwa ta’ min jaħtaf l-iżjed)”. L-Arċisqof qal li l-prosperità ekonomika tista’ titqiegħed fuq sisien sodi meta min imexxiha jfittex l-ewwel li jħaddan l-atteġġjamenti marbuta mal-għerf u s-sewwa. Aktar tard waranofsinhar, il-President iltaqa’ wkoll mal-Prim Ministru Joseph Muscat fil-Palazz tal-President fil-Belt Valletta. Mal-Prim Ministru kien hemm jakkompanjawh bosta Membri Parlamentari. Fi stqarrija, l-Uffiċċju tal-President qal li Muscat qal li kien unur għall-maġġoranza tal-membri parlamentari preżenti li kienu servew meta Vella kien ministru. Muscat qal li d-diskors ta’ Vella lbieraħ kien ta’ ispirazzjoni għal kulħadd. Muscat qal li l-mandat ta’ Vella se jkun ikkaratterizzat bl-integrità u l-leadership. Vella qal li se jkun qed jaqsam il-ħsibijiet tiegħu dwar diversi kwistjonijiet. ​Illum il President Vella ltaqa’ wkoll mal-President Emeritus Eddie Fenech Adami. Fenech Adami kien indispost dakinhar li Vella ħa l-ħatra tal-kariga.
" Hekk kif fl-aħħar sigħat il-gżejjer Maltin intlaqtu minn maltemp li varja skont il-lokalitajiet, b'ċertu lokalitajiet jaraw it-toroq b'livell għoli ta' ilma li għamlitha aktar diffiċli biex jgħaddu l-vetturi, rapporti maħruġa xejn ma jindikaw li se jkollna bidla qabel nhar it-Tlieta. Skont rapport maħruġ mill-Uffiċju Meterjoloġiku tal-ajruport internazzjonali ta' Malta jidher li l-ħalbiet tax-xita se jkomplu fil-jiem li ġejjin u mhux eskluż li jkollna maltempati bir-ragħad. Skont l-istess rapport jidher li l-għola temperatura se tkun dik ta' madwar 18-il grad u lanqas tinżel għal 12-il grad. ​Fid-diskors li għamel ftit wara li ħa l-ġurament tal-ħatra l-President George Vella saħaq li l-presidenza tiegħu se tkompli tagħti widen għall-karba ta’ min għaddej minn xi għawġ u se tkompli tkun ta’ kenn għal min ikollu bżonn. Il-President Vella saħaq li huwa jemmen li l-ewwel u qabel kollox jiġi l-interess tal-individwu, il-ħarsien tad-drittijiet soċjali u l-kwalità tal-ħajja kemm għaċ-ċittadin Malti, għall-ħaddiem barrani u kif ukoll għall-immigranti. Tenna li bħala President li ġej mill-qasam mediku, se jinteressa ruħu bis-sħiħ fl-iżvilupp tal-qasam tas-saħħa ta’ pajjiżna u se jkun qed isegwi u jħeġġeġ l-applikazzjoni tal-iżviluppi f’dan il-qasam. Qal ukoll li matul il-Presidenza tiegħu se jkun qed jimpenja ruħu fil-qasam tal-edukazzjoni, kemm dak akkademiku u kif ukoll dik vokazzjonali. Il-President Vella qal li se jkun qed jagħmel dak kollu possibbli biex jixpruna ż-żagħżagħ biex ikompli jħaddnu l-edukazzjoni li permezz tagħhom jistgħu jaħtfu l-opportunitajiet għalihom. Fir-rigward tal-aspett politiku tal-ħarsien tal-ambjent, il-President Vella qal li se jkun qed jirrakkomanda lill-awtoritajiet konċernanti l-ħarsien strett tar-regolamenti u li d-deċiżjonijiet jittieħdu bl-akbar skruplu u responsabbiltà. Dan bil-għan li tkun imħarsa s-sostenibbiltà u l-obbligi lejn il-ġenerazzjonijiet futuri. Qal li dan mhux biss fil-konfront tal-ambjent mibni, iżda wkoll fil-ħarsien tal-kwalità tal-arja, fil-passi kontra t-tniġġis tal-baħar u miżuri oħra kontra t-tisħin tat-temperatura tad-dinja. Il-President Vella wiegħed ukoll li se jkun qed jaħdem fis-sħiħ biex f’pajjiżna tissaħħaħ l-għaqda nazzjonali. Saħaq li biex ikollna l-għaqda irid jinħass li hemm sigurtà fil-pajjiż. Saħaq li l-ewwel turija ta’ din l-għaqda tal-maturità politika se tkun qed tintwera fil-ġimgħat li ġejjin meta se jkunu qed jiżvolġu l-elezzjonijiet għar-rappreżentanti tal-poplu fil-Parlament Ewropew. Ftit tal-ħin ilu bdiet il-quddiesa fl-okkażjoni tal-ġurament tal-ħatra tat-Tabib George Vella bħala President ta’ Malta li qed tkun iċċelebrata fil-Kon-Katidral ta’ San Ġwann. Wara l-Quddiesa, l-Ispeaker u l-President Elett, flimkien man-nisa tagħhom, il-familja tal-President Elett u l-mistednin jitilqu bil-mixi mill-Kon Katridal ta’ San Ġwann għall-Palazz tal-Gran Mastru. 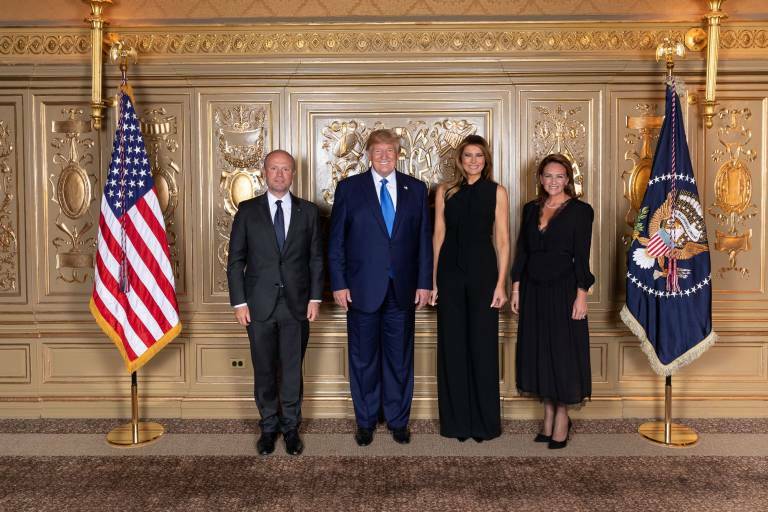 L-Ispeaker u l-President-Elett, flimkien man-nisa tagħhom, jaslu fil-bieb prinċipali tal-Palazz u jiġu skortati għas-Sala tal-Paġġi mis-Segretarju tal-Presidenza. Wara, l-mistednin jidħlu l-Palazz mil-bieb prinċipali u jipproċedu lejn is-Sala tal-Gran Kunsill. Il-qofol jintlaħaq għall-ħabta tal-12.15 p.m. meta Dr Vella jieħu l-ġurament tal-kariga ta’ President ta’ Malta. Wara li jindirizza l-mistednin distinti huwa jsellem lil dawk kollha preżenti fi Pjazza San Ġorġ għall-ewwel darba bħala President tar-Repubblika. Dr Vella flimkien mas-Sinjura tiegħu, imbagħad jitilqu lejn il-Monument tal-Gwerra l-Furjana fejn hemmhekk iqiegħed kuruna biswit il-monument. Minn hemmhekk jitilqu lejn il-Palazz ta’ San Anton, Ħ’Attard fejn jiltaqgħu għall-ewwel darba mal-istaff tal-palazz presidenzjali. Hekk kif illum il-President George Vella ħa l-ġurament tal-ħatra fil-Palazz tal-President fil-Belt Valletta dawn huma ftit mill-mumenti speċjali ta’ din il-ġurnata. George Vella huwa l-għaxar President ta’ Malta. Huwa twieled fl-24 ta’ April 1942 u ħa l-ewwel edukazzjoni tiegħu fl-iskola Primarja taż-Żejtun, u wara rċieva l-edukazzjoni sekondarja tiegħu mill-Kulleġġ De La Salle fil-Birgu. Mill-1957 sal-1964, huwa studja l-Mediċina fl-Università Rjali ta’ Malta, u ggradwa bħala tabib fl-1964. Huwa kien elett għall-ewwel darba fl-1978 u baqa’ jiġi elett sal-2013, fejn serva bħala Ministru għall-Affarijiet Barranin ta’ Malta. The bishop-elect was born on the 5th of August 1967 in Zebbug, Gozo, gave his solemn vows in 1994, and was ordained a priest in 1997. 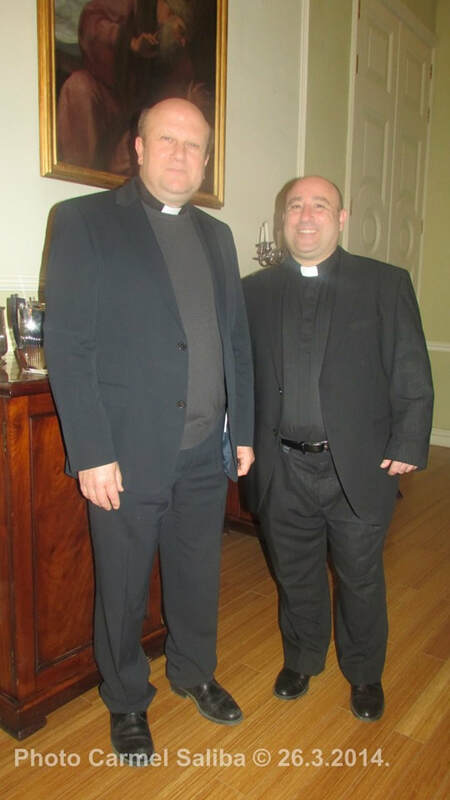 He holds a licentiate in pastoral theology from the University of Malta. Il-Qdusija Tiegħu l-Papa Franġisku għadu kemm ħatar lil Patri Govanni Cefai, tas-Soċjetà Missjunarja ta’ San Pawl, miż-Żebbuġ, Għawdex, bħala l-ewwel Isqof Prelat ta’ Huancané, il-Perù. Patri Giovann twieled fil-5 ta’ Awwissu 1967. Hu attenda fl-Iskola Primarja taż-Żebbuġ (1972-1978) u mbagħad kompla bl-istudji Sekondarji fin-Nadur u l-Belt Victoria sal-1983. Wara li temm kors ta’ Inġinerija Mekkanika fl-Istitut Tekniku ta’ Għawdex, fl-1984 daħal fis-Soċjetà Missjunarja ta’ San Pawl, imwaqqfa mill-Qaddej ta’ Alla Mons. Ġużeppi De Piro, fid-dar tar-Rabat, Malta. Beda n-novizzjat fl-1985, iż-Żebbuġ, u mbagħad bejn l-1986 u l-1988 kompla bl-istudji u l-formazzjoni tiegħu f’Campion House, Londra, waqt li ħadem pastoralment f’bosta ħabsijiet u qrib tal-foqra fit-toroq ta’ Londra. Mill-1990 sal-1996 studja l-Filosofija u t-Teoloġija fl-Università ta’ Malta. Fis-6 ta’ Diċembru 1997, ġie ordnat saċerdot fil-Katidral ta’ Għawdex, minn Mons. Nikol Ġ. Cauchi, Isqof ta’ Għawdex. Wara l-Ordinazzjoni tiegħu kompla bl-istudji terzjarji fl-Università ta’ Malta u fl-1999 iggradwa b’Liċenzjat fit-Teoloġija Pastorali. Wara, serva għal sentejn bħala Direttur taċ-Ċentru Animazzjoni Żgħażagħ De Piro f’Malta. Fl-2000 mar l-Irlanda għal iktar studji u segwa kors fl-Edukazzjoni Pastorali Klinika (CPE). Lura Malta fl-2001, intbagħat il-Perù bħala missjunarju. 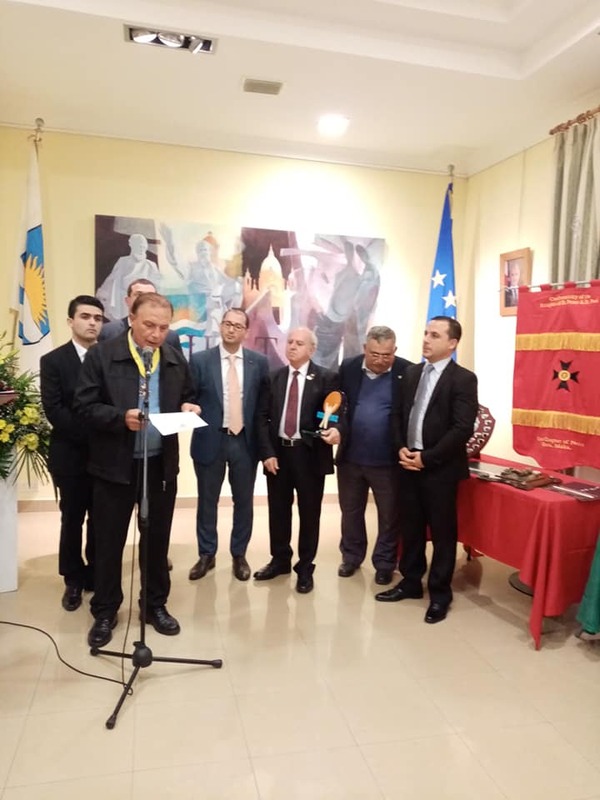 Sena wara ġie maħtur bħala Kappillan fl-Arċidjoċesi ta’ Arequipa fejn għall-aħħar tmintax-il sena serva f’żewġ parroċċi differenti, Santa Cruz u San Pablo Apóstol. Fl-2010 hu nħatar Superjur Provinċjali tal-MSSP fil-Perù, fejn serva għal tliet termini konsekuttivi, disa’ snin b’kollox. F’Novembru li għadda, hu laqa’ fil-Perù lil Mons. Mario Grech, Isqof ta’ Għawdex, għal Żjara pastorali fil-postijiet fejn saċerdoti Għawdxin qed iwettqu ħidma missjunarja f’isem il-Knisja. Nhar l-Erbgħa 3 ta’ April 2019, il-Q.T. il-Papa Franġisku ħatru Isqof tal-Prelatura Territorjali ta’ San Ġakbu l-Appostlu, f’Huancané. Huwa l-ewwel Isqof ta’ din il-Prelatura ġdida, l-ewwel isqof mis-Soċjetà Missjunarja ta’ San Pawl, u l-ewwel isqof mir-raħal ċkejken taż-Żebbuġ, Għawdex. 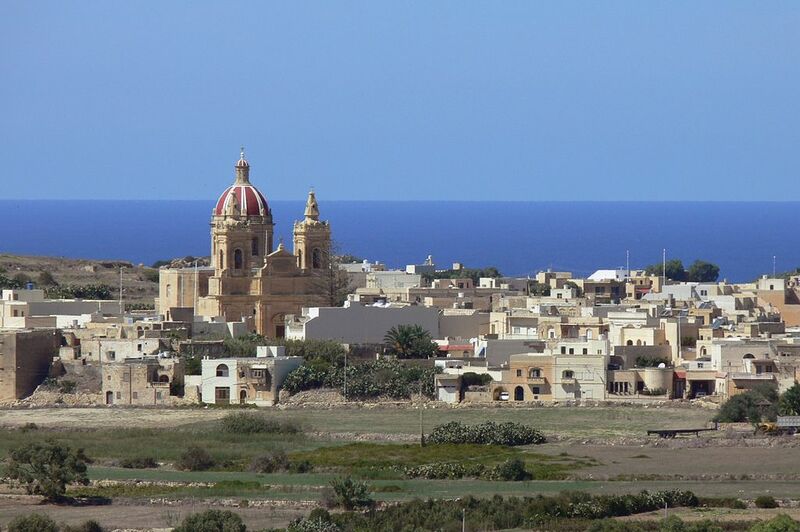 Il‑Prelatura Territorjali ta’ Santiago Apóstol de Huancané, li waqqaf illum il-Papa Franġisku, hija ffurmata minn għoxrin parroċċa li fihom jgħixu ftit aktar minn 200,000 persuna li madwar 85% minnhom huma Kattoliċi. F’dan it-territorju, parti mill-Arċidjoċesi ta’ Arequipa, hemm ħmistax-il saċerdot u huwa mifrux fuq tmintax-il elf metru kwadru ta’ art. L-aħbar ġiet ikkomunikata permezz tal-Bullettin tas-Sala Stampa tal-Vatikan illum f’nofsinhar: http://press.vatican.va/…/pubbli…/2019/04/03/0282/00575.html. One of Malta's largest valleys, Wied il-Ghasel, will go through a major renovation that will cost government €2.2 million. Wied il-Ghasel threads through Mosta, Burmarrad and Rabat. Parliamentary Secretary for EU Funds Aaron Farrugia said that €1.8 million of the amount invested in this project are EU funds. The renovation project, titled RainWiin Project, will consist of studies of infrastructure in the valley, new dams and soakaways and the planting of 300 indigineous trees. Environment Minister Jose Herrera and Farrugia were addressing a press conference at Wied il-Ghasel. "With the way the population is growing and the state these valleys are in, water scarcity can become a problem," he said. "Over half of water consumed comes from aquifers. If the veins, and Wied il-Ghasel is a major one, will not be rehabilitated and are used as dumping grounds, our water is at risk." Herrera said that water preserved in reservoirs as during the reign of the Knights of St John is a thing of the past, so we rely entirely on aquifers and Reverse Osmosis. He added that a taskforce his ministry employed, Ambjent Malta, will oversee the project in collaboration with Infrastructure Malta. This will include the removal of alien species, the planting of 300 indigineous trees and plant species and the restructuring and building of new dams. Ambjent Malta's Scientific Officer Alexander Borg Galea said that new dams will hope to increase the amount of water collected to 45,000 cubic metres. The project will also monitor the climate change impact and how much water actually meanders through the massive valley. Farrugia said that Malta was investing over €100 million in EU funds in total for water security, water quality and sustainable management. He explained that the European Commission proposals include five policy objectives for the next EU budget, focusing on a greener, low-carbon Europe by promoting clean and fair energy transition, the circular economy, and climate adaptation amongst others. Herrera said that RainWiin is one of many local projects aimed at preserving water.
" Il-Gvern u l-Oppożizzjoni approvaw b'mod unanimu n-nomina tat-Tabib George Vella bħala l-10 President tar-Repubblika. Dan sar waqt is-seduta qasira tal-lum li fiha ż-żewġ deputati tal-Oppożizzjoni mill-Partit Demokratiku għażlu li ma jieħdux sehem bħala protesta kontra l-mod kif qed imexxi l-Gvern. Il-Prim Ministru Joseph Muscat iddeskriva lit-Tabib Vella bħala l-aħjar persuna li jista' jkollu l-pajjiż għal din il-kariga f'dan il-mument partikolari. Huwa rrimarka kit it-Tabib Vella huwa magħruf għall-integrita, is-servizz lin-nies u l-esperjenza internazzjonali u esprima l-konvinzjoni tiegħu li taħtu se jkollna presidenza impekkabbli. Min-naħa tiegħu, il-Kap tal-Oppożizzjoni Adrian Delia qal li għalkemm huma xtaqu li l-President ikun ġej mill-kamp tal-PN huwa għandu rispett kbir lejn it-Tabib Vella u sostna li jinsab konvint li huwa l-persuna idoneja biex jerfa' ir-responsabbilta. Qabel l-approvazzjoni tat-Tabib Vella bħala l-President il-ġdid, il-Parlament approva wkoll b'mod unanimu mozzjoni ta' ringrazzjament lill-President attwali Marie-Louise Coleiro Preca. Il-Prim Ministru iddeskriviha bħala persuna li f'din il-kariga tat leħen lil dawk li ma kellhomx u ħadmet favur il-vulnerabbli fosthom it-tfal u l-immigranti. Huwa rimarka li għad fadlilha x'tagħti lis-soċjeta u esprima l-ħsieb li fir-riforma kostituzzjonali jipproponi li jitwaqqaf il-Kunsill tal-Istat b'persuni li jagħtu pariri lill-Prim Ministru tal-ġurnata dwar kwistjonijiet partikolari. Min-naħa tiegħu, il-Kap tal-Oppożizzjoni wkoll faħħarha talli dejjem għenet liż-żgħir u semma kif meta laħqet President il-Gvern spiċċa ltiem minn vuċi li tirrappreżenta lill-batut. Delia sosta li hija kienet tgħin nies minn kull twemmin politiku u jekk kien hemm post fejn verament twettqet il-wegħda ta' Malta Tagħna Lkoll dan kien mill-post fejn kienet tmexxi. L-Isqof t’Għawdex Mario Grech qal li ħadd ma jista’ jieħu post l-omm fil-familja. Dan qalu hu u jindirizza lill-membri tal-Leġjun ta’ Marija. F’diskorsu, huwa rrefera għall-parabbola tal-Iben il-Ħali, li kienet l-Evanġelju tal-Ħadd li għadda. L-Isqof qal li l-iben kien ġej minn familja għanja, imma din id-dar kienet nieqsa mill-preżenza ta’ omm. L-assenza tal-omm fl-istorja timplika li l-istorja setgħet tieħu xejra differenti li kieku kien hemm omm preżenti. L-Isqof insista li l-assenza tal-omm fl-istorja mhijiex insinifikanti, peress li xejn ma jista’ jieħu post l-omm. L-Isqof Grech kompla jitkellem dwar l-assenza tal-ġenituri f’xi familji, u qal li n-nuqqas ta’ omm naturali jinħass daqs in-nuqqas tal-Omm Verġni, li twassal lill-bnedmin lejn Kristu, u twassal lill-Kristu lejn il-bnedmin. “Fejn hemm Marija, hemm Ġesù Kristu, u fejn hemm Ġesù Kristu, hemm Marija,” qal l-Isqof. Huwa appella lil-Leġjunarji ta’ Marija sabiex jiffukaw l-appostolat tagħhom fuq l-importanza li jressqu lil Marija iżjed viċin ta’ dawk li jemmnu. Ftit tal-minuti ilu jidher li ċedew żewġ gallariji fi Triq iż-Żonqor f'Wied il-Għajn. Minkejja li dan il-każ seta' kellu konsegwenza ferm koroh, jidher li b'xorti tajba ħadd ma' weġġa'. Dragana Mijalkovic (ritratt), Serba ta' 44 sena, kienet ikkundannata ħames snin u nofs priġunerija wara li nstabet ħatja li ppermettiet lil żewġ anzjani Ingliżi li jsofru meta suppost kellha tieħu ħsiebhom. Iż-żewġ anzjani kienu David Grant ta’ 67 sena u Nevile Ayers 78 sena li kienu joqogħdu f’appartament f’San Pawl il-Baħar. Il-mara kienet toqgħod magħhom f’San Pawl il-Baħar. Mijalkovic kienet akkużata wkoll li kkaġunatilhom il-mewt madankolu ma nstabitx ħatja ta’ din l-akkuża. Fost oħrajn il-Maġistrat Donatella Frendo Dimech qalet li l-mara ġibditilhom filmati u ddeskriviet dawn il-filmati bħala degradanti u diżgustanti li juru li ġiet sfruttatata b’mod skandaluż u oxxen l-istat ta’ saħħa deterjoranti tagħhom. Il-Maġistrat kompliet tgħid li l-anzjani kellhom bżonn l-għajnuna u mhux ikomplu jiġu mżebilħa, għarwenin, bil-ħmieġ uman imżelleġ u nieżel minnhom, jew mixħutin kobba mal-art, jew imħollija jgħaffġu fuq il-ħmieġ uman tagħhom stess. Tenniet li minflok fittxet li tgħinhom il-mara ħalliet lill-anzjani kkrepati mal-art jew f’banju mgħawġin u mgħakksin għarwenin f’xhur ta’ kesħa. Qalet li b’mod sarkastiku il-mara kienet tindirizza lill-anzjani bħala ‘my darling’ u ‘my love’. Żiedet tgħid li filwaqt li ħalliethom fi stat fejn kien ovvju li tista’ ssir ħsara lil saħħet l-anzjani, minbarra flushom il-mara spiċċat ħaditilhom anke d-dinjità tagħhom. Il-Maġistrat Frendo Dimech qalet li Grant kien kontinwament jitlef il-bilanċ, u spiċċa kollu tbenġil u tiċrit. Fir-rigward ta’ Ayers hija qalet li dan kien jidher dgħajjef u ċċassat u kien mitluq għarwien ħuta f’banju mingħajr ilma. “X’ma jkunx suġġett għal pnueomnia li spiċċa miet biha,” irrimarkat il-Maġistrat Frendo Dimech. Tenniet li l-imputata stess qalet li ndunat li kellhom bżonn kura fi sptar, u ħaditilhom il-filmati, madankollu ħalliethom fis-sitwazzjoni li kienu fiha. Fir-rigward ta’ Ayers qalet li jirriulta li kien hemm ippurgar iswed, li kien sinjal li saħħtu kienet sejra lura. Meta ġiet biex tagħti l-piena, il-Maistrat qalet li dan ma kienx każ iżolat, iżda għemil insensat, krudili u nieqes minn kull każ ta’ umanità. Qalet li għalkemm f’Malta l-mara qed titqies bħala ‘first time offender’, f’dan il-każ il-vittmi kienu tnejn. Qalet ukoll li l-mara titqies ta’ theddida serja għas-soċjetà. Hija temmet tgħid li Ladarba tiskonta s-sentenza, u ladarba m’għandhiex permess toqgħod Malta, għandha titkeċċa ’l barra mill-pajjiż. Il-Prosekuzzjoni mill-Ispetturi James Grech u Fabian Fleri. It was made by the artist Chevalier Augustino Camilleri. Photo Copyright Carmel Saliba 31.3.19.
" Mizzi Studio, il-kumpanija tal-arkitettura u d-disinn ibbażata f’Malta u Londra li ġa rebħet għadd premji, ħabbret id-disinni innovattivi tal-flotta ġdida elettrika tal-karozzi tal-linja għal Malta, li kapaċi jwasslu biex ipoġġu lin-nazzjon fuq quddiem nett tal-UE bi trasport pubbliku li ma jniġġeż xejn. Il-kumpanija tittama li tkebbes mill-ġdid sens ta’ kburija nazzjonali permezz tal-immaġni ikonika tal-karozzi tal-linja Maltin, maħduma b’mod kontemporanju u li jibżgħu għall-ambjent, meta dawk antiki tneħħew fl-2011. Id-disinni l-ġodda se jintwerew f’wirja pubblika fil-bini tal-Parlament fil-Belt Valletta f’Lulju 2019. Fl-2011, il-karozzi tal-linja tradizzjonali u kkuluriti Maltin kellhom jitneħħew mit-triq minħabba li ma kinux jilħqu l-istandards Ewropej tat-tniġġiż, anki jekk dawn il-vetturi jibqgħu wieħed mill-iktar simboli assoċjati ma’ pajjiżna. Ħafna mill-karozzi tal-linja kienu nġabu mir-Renju Unit, b’uħud minnhom imorru lura sal-1950 u bil-biċċa l-kbira tagħhom jiġu klassifikati bħala antikità. Post uħud minnhom ittieħed mill-bendy buses, li nġabu fil-pajjiż mill-Arriva u li eventwalment tneħħew peress li ma kinux ideali għall-infrastruttura tal-pajjiż. Bid-disinni l-ġodda, l-għan ta’ Mizzi Studios hu li jtejbu l-effiċjenza ambjentali tal-flotta attwali tal-karozzi tal-linja, waqt li jġibu lura l-karattru ikoniku mitluf tal-karozzi tal-linja tradizzjonali - karattru distint maħluq mix-xufiera stess minħabba li kienu jippresonalizzaw il-vetturi tagħhom bi tpinġijiet u referenzi reliġjużi u kultrali skont il-gosti tagħhom. Il-kumpanija identifikat l-aktar karatteristiċi komuni u b’saħħithom fil-flotta tradizzjonali u poġġiethom fuq ix-chassis modern, kif ukoll chrome grill ikbar min-normal, dwal b’kappa tonda u visor imdendel mill-windscreen. Mizzi Studio ddisinjaw il-bumper tal-chrome f’forma ta’ ġwienaħ tal-anġli, li spiss kont issibhom fuq il-karozzi tal-linja l-antiki, waqt li fuq wara hemm par ġwienaħ oħra li jkessħu l-mutur. Il-ġwienaħ ta’ wara, flimkien mat-tundjatura tal-ħġieġ, jiffurmaw l-ispazju madwar salib Malti astratt, li jkompli jsaħħaħ is-sens ta’ kburija nazzjonali. Simboli tas-salib Malti flimkien ma’ dawk tan-nagħal taż-żwiemel, li kont issibhom fuq il-karozzi tal-linja biex ikeċċu l-magħmul, jinsabu fid-disinn il-ġdid ukoll. Il-kuluri tal-karozzi tal-linja l-antiki nbidlu matul is-snin. Oriġinarjament kien hemm is-sistema tal-kuluri skont ir-rotot, sakemm imbagħad saru kulur wieħed; l-ewwel aħdar imbagħad isfar bi strixxa oranġjo għax-xarabanks f’Malta, u griż bi strixxa ħamra f’Għawdex. Mizzi Studio għażlu li jmorru għas-sistema ta’ kuluri differenti minħabba n-nostalġija li jġorru dawn il-kuluri. It-tberfil, wieħed mill-iktar dettalji karatteristiċi li kien iżejjen lix-xarabanks antiki, reġa’ nħoloq mill-ġdid f’forma diġitali biex ix-xufiera jkunu jistgħu jippersonalizzaw kull xarabank bi kliem u xbihat bl-użu ta’ teknoloġija LED, u għalhekk jagħtu tribut lill-artiġġjanat u kburija assoċjati mal-karozzi tal-linja l-antiki. Il-proposta ta’ Mizzi Studio għal flotta kompletament elettrika u bla emissjonijiet timxi id f’id mal-istrateġija fit-tul tal-UE għal futur bi klima newtrali. Il-flotta l-ġdida għandha wkoll vision panel fuq quddiem, sistemi ta’ arja kkundizzjonata u tkessiħ state-of-the-art, bibien fin-nofs kif ukoll rampi u art baxxa għal aktar aċċessibbiltà. Il-kumpanija tittama li dawn il-karatteristiċi flimkien mad-disinn meqjus li jsellem lill-karozzi tal-linja ta’ qabel, iħajjar iktar lin-nies jagħmlu użu mit-trasport pubbliku biex jitnaqqas it-traffiku u t-tniġġiż fil-gżira. Wirja pubblika b’xejn, Malta Bus Reborn, se tinżamm bejn Lulju u Settembru 2019 fil-bini tal-Parlament. Il-wirja tagħti dettalji dwar il-proċess ta’ kif saru d-disinni minn Mizzi Studio, flimkien mar-riċerka u l-iżvilupp li sar f’dan il-perjodu ta’ 7 snin. Il-wirja tinkludi mudell ta’ skala 1:6 tax-xarabank propost maħdum mill-idejn esperti ta’ 2D3D, u filmat ta’ ħames minuti minn Stargate Studios li se juru l-karozza l-linja ġdida ssuq f’uħud mill-iktar postijiet sbieħ f’Malta. “Hu l-pjaċir tal-Kunsill Malti għall-Arti li jappoġġjaw lid-disinjatur Jonathan Mizzi permezz tal-Project Support Grant tal-Fond Malti għall-Arti; il-viżjoni tiegħu mhux biss hi waħda funzjonali, imma turi wkoll fehim profond tal-karozza tal-linja tradizzjonali waqt li fl-istess ħin tagħti tribut lill-valur artistiku tagħha. Il-Kunsill jilqa’ l-kunċett artistiku tas-Sur Mizzi u jappoġġa lilu u lit-tim fil-qasam tal-disinn tal-vetturi,” qal kelliem għall-Kunsill għall-Arti. A study on the possible relocation of the Freedom Day monument to a more open and suitable place that bears true identity should be carried out, the Democratic Party said on Sunday, the 40th anniversary of Freedom Day. Freedom Day marks the closure of the British military bases on March 31,1979, marking the first time in history that Malta had no foreigners occupying any part of its territory. The monument is located at Vittoriosa seafront, a site associated with the British naval presence. But the PD said the present location is one that does not attribute the honour and aura that such a monument deserves. "It has become little better than a traffic island. Moreover it has aesthetically ruined the significance of St Lawrence square and its famed church" the party said. PD MEP candidate and general secretary Martin Cauchi Inglott and candidate Antony Buttigieg said those older than 40 recalled a different kind of freedom, the freedom where they enjoyed a beautiful unspoilt and tranquil country, with clear blue seas, often referred to the gem in the Mediterranean. "If it were up to Partit Demokratiku, Freedom Day would be celebrated when we are free from the oligarchs’ grip on government and our public land, and where every business competes equally for government contracts. Real freedom means that all of us are able to realise our full potential and capabilities without political, social and peer influence. When we manage that, then yes, we can start celebrating Freedom Day again," the candidates said. President Marie-Louise Coleiro Preca laid a wreath on the Freedom Monument on Sunday morning. She was accompanied by Prime Minister Joseph Muscat and Opposition leader Adrian Delia. Earlier the AFM held a parade and a Guard of Honour formed in front of the monument, It was inspected by the president at the start of the wreath-laying ceremony. Il-Ministeru għal Għawdex organizza attività sportiva fil-kumpless sportiv tar-Rabat f’Għawdex biex jagħti merħba lit-tlett atleti Għawdxin li pparteċipaw b’suċċess fl-Ispecial Olympic World Games f’Abu Dhabi. Il-Ministru għal Għawdex Justyne Caruana qalet li l-impenn, id-determinazzjoni u sagrifiċċju li wrew dawn it-tlett atleti Għawdxin sarrfu f’riżultat mistħoqq li jagħmel unur lilhom u lil pajjiżna. Il-Ministru Caruana fakkret li l-ewwel midalja mirbuħa mill-kontinġent Malti kienet mill-atleta Għawdxija Maria Pia Saliba li rebħet il-midalja tad-deheb fit-25 metre butterfly. Hija qalet li dawn l-atleti għandhom talenti kbar u kien għalekk li pajjiżna investa u emmen fihom biex jirrappreżentaw lil Malta fil-logħob li saru f’Abu Dhabi. B’kollox, Maria Pia Saliba, Gużeppina Galea u Carmelo Pace rebħu sitt midalji, erbgħa tad-deheb u tnejn tal-bronż. Il-Ministru għal Għawdex qalet li għalkemm fiżikament ma kinitx preżenti waqt dawn il-logħob, xorta waħda segwiet dak kollu li kien għaddej permezz tal-media soċjali kif ukoll komunikazzjoni diretta mal-atleti u l-familji tagħhom. Il-Ministru Caruana appellat lill-atleti biex ikomplu jimirħu u jaspiraw għal aktar suċċess fid-dixxiplini sportivi li jipprattikaw. Hi wegħdet is-sostenn kollu tagħha biex dawn l-atleti jilħqu l-aspirazjonijiet tagħhom u jkomplu jgħamlu isem għalihom personali u unur għal Malta. Grazzi kbira tmur lill-familji tal-atleti tagħna, lil Anna Calleja, diriġenti, coaches u l-voluntiera kollha tal-Ispecial Olympics u lill-poplu kollu għall-appoġġ u s-sostenn li ta lill-atleti li rrapreżentaw lil pajjiżna qalet. Ftit tal-ħin ilu, tressaq il-Qorti quddiem il-Maġistrat Rachel Montebello Joseph Bonnici fejn ġie mixli bil-qtil ta’ ommu Maria Lourdes u oħtu Angele, u li ħeba l-katavri tagħhom. Bonnici ġie anke akkużat li spara fl-abitat u li fil-pussess tiegħu kellu apparat li jnaqqas il-ħoss tal-arma. Huwa ġie mixli wkoll li għamel rapport falz. L-omm u bintha kienu ġew rapportati nieqsa lill-Pulizija nhar l-Erbgħa li għadda, madankollu dehru l-aħħar nhar it-Tlieta li għadda. L-akkużat wieġeb mhux ħati tal-akkużi miġjubin kontrih. Ma saritx talba biex l-akkużat jinħeles mill-arrest. Missier l-akkużat, Paul Bonnici, qed iservi sentenza ta’ 31 sena priġunerija wara li kien instab ħati li qatel lil żewġ ġirien tiegħu 19-il sena ilu. Il-Prosekuzzjoni tmexxiet mill-Ispetturi Keith Arnaud, john spiteri, u Roderick Attard. Għall-akkużat dehru l-Avukati Franco Debono u Marion Camilleri. The feast of the Redeemer was celebrated today by the Hobsons Bay Maltese Association at St. Mary Star of the Sea in West Melbourne. The President and founder of the association is the Naduri Chev. Joe Attard ( Ta' Sisiter ). Fr. Frank Buhagiar celebrated the Mass with three other priests. Picture: Chev. Joe Attard on the left. Video Copyright Carmel Saliba 29.3.19. Fl-2018 il-gvern wettaq l-akbar ammont ta’ spiża kapitali fl-istorja ta’ pajjiżna. Ċifri tal-Uffiċċju Nazzjonali tal-Istatistika juru li b’kollox ġew investiti €605 miljun f’proġetti kapitali. B’kuntrast, fl-aħħar sena qabel il-bidla fl-amministrazzjoni, l-ispiża kapitali kienet laħqet €364 miljun biss. Li jfisser li għal kull tliet ewro minfuqa fl-2012, fl-2018 ġew investiti ħames ewro fi proġetti kapitali. Din l-ispiża kapitali qawwija tikkonferma r-rieda tal-gvern li jibni Malta għal għada speċjalment frott tisħiħ bla preċedent fl-infrastuttura ta’ pajjiżna. Iż-żieda fl-ispiża kapitali fl-2018 tispjega għal kollox il-bidla fil-qagħda tal-Fond Konsolidat. Fil-fatt, li kieku fl-2018 il-gvern għażel li jżomm l-ispiża kapitali fil-livell tal-2017, kieku l-Fond Konsolidat kien ikollu surplus rekord ta’ €185 miljun, jiġifieri ftit iktar mis-surplus osservat sena qabel. Fl-2018 kompla jkun hemm żieda ferm qawwija fid-dħul tal-gvern li laħaq l-ammont rekord ta’ €4.6 biljun li hu kważi €270 miljun aktar mill-2017. Dan it-tkabbir fid-dħul għamel tajjeb għaż-żieda fl-ispiża rikurrenti li seħħet matul l-2018. Iż-żieda fid-dħul tal-gvern kienet tirrifletti tkabbir minn sorsi bħal: income tax, VAT u bolla li bejniethom raw żieda ta’ 8.6% fuq l-2017 - konferma ta’ kemm is-sena li għaddiet l-ekonomija Maltija kompliet tiġġenera ġid akbar għall-ħaddiema u għan-negozji. Fl-istess waqt il-galbu fit-tmexxija tal-finanzi pubbliċi fl-aħħar snin wassal biex l-ispiża fuq imgħax fuq id-dejn nazzjonali fl-2018 waqgħet bi €11 miljun, jiġifieri 5% anqas minn sena qabel. Dan jikkuntrasta bil-kbir ma’ dak li kien iseħħ taħt amministrazzjonijiet preċedenti fejn l-ispiża fuq l-imgħax fuq dejn pubbliku kienet tkun l-aktar spiża li tiżdied b’rata mgħaġġla. Fil-fatt l-2018 kienet it-tieni sena konsekuttiva li fiha d-dejn tal-Gvern Ċentrali naqas, mhux biss bħala proporzjon tal-ġid nazzjonali imma saħansitra f’livell assolut. Id-dejn tal-Gvern Ċentrali fi tmiem l-2018 kien €156 miljun anqas milli kien f’Diċembru tal-2016. Ta’ min ifakkar li l-istatistika fuq il-Fond Konsolidat tirrifletti biss b’mod parzjali l-qagħda fiskali tal-gvern skont il-kejl tal-Unjoni Ewropea. Fost l-oħrajn dan il-kejl fih dħul li ma jidħolx fil-Fond Konsolidat. L-andament tal-Fond Konsolidat ġieli jkollu fih ukoll spejjeż li jkunu tħallsu f’sena imma li jkunu dovuti għal snin preċedenti filwaqt li jeskludi arretrati fid-dħul mit-taxxi. L-indikazzjonijiet huma li meta dawn il-fatturi jittieħdu inkunsiderazzjoni, il-finanzi tal-gvern reġgħu kienu f’surplus fl-2018. Bis-saħħa tal-klima ekonomika pożittiva li bdiet tinbena f’pajjiżna, il-gvern hu f’pożizzjoni li jwettaq l-akbar programm ta’ investiment fl-istorja ta’ pajjiżna filwaqt li xorta jirreġistra tnaqqis fid-dejn nazzjonali. B’hekk qed tinbena Malta għal għada, pajjiż b’futur fis-sod u b’opportunitajiet aħjar għal kulħadd. ​Membri Parlamentari Brittaniċi għat-tielet ivvotaw kontra il-ftehim ta’ Brexit ippreżentat mill-Prim ministru Theresa May. Il-vot żvolġa fil-jum meta oriġinarjament ir-Renju Unit kellu joħroġ mill-Unjoni Ewropea. Il-Gvern ta’ May tilef il-vot bi 58 vot, bil-vot aħħari jkun ta’ 286 vot favur il-ftehim u 344 vot kontra. Dan ifisser li r-Renju Unit tilef id-deadline tal-Unjoni Ewropea biex jipposponi lil Brexit għat-22 ta’ Mejju li ġej, u jxolxji s-sħubija tiegħu mingħajr ftehim fis-seħħ. Il-Prim Ministru qalet li r-Renju Unit se jkollha ssib triq alternattiva ’l quddiem li kważi ċertament se tkun qed tinvolvi l-iżvolġiment ta’ elezzjonijiet għall-Parlament Ewropew. Eluf ta’ persuni li jappoġjaw il-ħruġ tar-Renju Unit mill-Unjoni Ewropea nġabru quddiem il-Parlament biex jipprotestaw kontra l-posponiment ta’ Brexit.May issa għandha sat-12 ta’ April li ġej biex tipprova tikseb estensjoni itwal għall-proċess tan-negozjati biex tevita li r-Renju Unit f’dik id-data joħroġ mill-Unjoni Ewropea mingħajr ftehim fis-seħħ. ​ Il-Prim Ministru Joseph Muscat iddikjara li l-kurrenti ta’ nazzjonaliżmu estrem imorru kontra l-ispirtu tal-Ħelsien u min jipprova juża din il-festa għal dan l-iskop għadu ma fehemx għaliex il-Perit Dom Mintoff ħolom b’dan il-jum. Huwa qal dan fil-Birgu hekk kif il-Partit Laburista sellem Jum il-Ħelsien b’ċerimonja kommemorattiva biswit il-monument li jfakkar din il-ġrajja li tmur lura 40 sena ilu. Muscat saħaq li l-kisba tal-Ħelsien ma kinietx tfisser li l-pajjiż se jispiċċa iżolat imma serviet bħala għodda biex jieħu rajh f’idejh u jkun membru ta’ komunità globali. Huwa sostna li bil-Ħelsien pajjiżna ma telaqx mid-dar Ewropea u Mediterranja biex jiżola lilu nnifsu imma biex ikun fl-istess dar u madwar il-mejda jkun indaqs għal ħaddiehor u mhux ħaddiehor jiddeċiedi minfloku. Muscat zied li l-Ħelsien kien punt ta’ wasla daqskemm kien punt ta’ tluq u irrefera għall-kisbiet soċjali li saru matul is-snin li wasslu biex illum hawn iktar ugwaljanza anke jekk wissa li dan ifisser li rridu nqisu lil ħaddiehor indaqs u mhux inqas. Kien f’dan il-mument li huwa irrefera ghan-nisa u waqt li qal li s’issa m’ghandnix ħelsien sħiħ ghax dawn għadhom trattati inqas mill-irġiel irrefera nsista li rridu nkomplu nissieltu biex ikun hawn ugwaljanza vera. Waqt li semma kif kull darba li jaqra l-istorja tal-pajjiż jara li kien prim ministru Laburista li ħatar ministru mara, speaker mara u president mara, Muscat irrefera għall-proposta li jkun hawn aktar nisa fil-Parlament u nsista li din ir-riforma għanda tibghat messaġġ b’saħħtu lit-tfajliet u lin-nisa li posthom huwa fl-ogħla istituzzjoni tal-pajjiż daqs l-irġiel. Il-Mexxej Laburista żied li għad jgħaddu ftit tas-snin oħra u ngħidu għaliex ma ħadnix dan il-pass qabel. Lejn tmiem l-intervent tiegħu huwa rrimarka li huma r-riformi li jiddistingwu dan il-moviment u semma kif minkejja d-diffikultajiet li nistgħu niffaċċjaw mexjin fid-direzzjoni t-tajba. L-attività kienet indirizzata wkoll mid-Deputat Mexxej Laburista għall-Affarijiet tal-Partit Chris Cardona. Huwa iddeskriva l-Ħelsien bħala waħda mill-iżjed ġrajjiet deċiżivi fl-Istorja ta’ pajjiżna u sostna li kienet il-viżjoni li kellu l-Perit Mintoff u d-deċiżjonijiet li ħa 40 sena ilu li salvaw lil pajjizna. Cardona sostna li l-Ħelsien huwa sinifikanti għax bħala pajjiż iddeċidejna li nirrilaxxaw lilna nfusna mill-ħakma tal-barrani. Huwa żied li l-Ħelsien sawwar lil pajjiżna f’ċentru ta’ eċċellenza ekonomika u għall-ewwel darba wara eluf ta’ snin maħkuma mill-barrani stajna nibnu ekonomija fuq sisien sodi. Cardona żied li l-missjoni tagħna bħala pajjiż hija li noħolqu l-ġid u x-xogħol u nqassmuh kif qed isir illum fejn anke semma kif dan huwa l-aqwa xiehda li Malta hija ħielsa. Huwa żied li dak li jiddistingwi lil dan il-partit minn oħrajn huwa li dejjem ħabb lil Malta f’kull ċirkostanza kuntrarju għal oħrajn li qed jippruvaw jagħmlu l-bsaten fir-roti anke barra l-pajjiż. Fl-istess waqt qal li minkejja dawn l-ostakli pajjiżna għaraf iqum għall-okkażjoni grazzi għat-tmexxija ta’ Joseph Muscat li qed jagħmel il-viżjoni li kellu Mintoff 40 sena ilu attwali sal-lum. Today the Ladies at the Maltese Cultural Center in Albion, started doing their lace in a refurbished room and they are very happy with their new set up. ​A fundraising campaign to cover the expenses of major conservation and restoration works taking place at a small church in Nadur was launched yesterday evening. The project concerns the so-called ‘marouflage’ paintings that adorn the ceiling and dome of the Sacred Heart of Jesus church, which was built in the early 20th century by a Gozitan family. These works were executed between 1953 and 1956 by Ġużeppi Briffa, one of the pioneer Maltese artists of the 20th century. “The marouflage paintings found in this church form part of the national artistic heritage left to us by this prolific artist. Unfortunately, they are in an advanced state of deterioration and risk being lost once and for all if not treated,” Amy Sciberras, who has been entrusted with the extensive restoration project, said. The term ‘marouflage’ refers to a painting executed on canvas, which, in turn, would be attached to walls and ceilings. The execution of the drawing can be carried out both before the attachment of the canvas to the wall and afterwards. The canvas can also be glued to a wooden board or fibreglass panel and, ultimately, to the wall. “In this particular case, the canvas has been glued directly to the ceiling,” Ms Sciberras said. The subject of the nave paintings, side-chapels and choir represent the seven sacraments. These include the depiction of the Baptism of Jesus Christ by St John the Baptist, St Paul receiving Confirmation and St Publius’s father receiving the Anointing of the Sick. The theme of the dome decoration is that of Christ’s crucifixion, with the crucified Christ being the most prominent figure. Other scenes on the four pendentives beneath the dome depict the Last Supper, St Margaret Mary Alacoque’s vision of Christ, Christ’s apparition to Thomas and the Apostles, and the vision of St John Eudes. In years of investigations as part of her M.Sc. thesis, Ms Sciberras used various advanced scientific techniques and examined the architectural fabric using methods such as thermal imaging. She also examined the constituent materials used by the artist, the various types of deterioration and their distribution, as well as what led to the advanced state of deterioration. “These studies and examinations led me to formulate a conservation strategy which is unique and specific to this site and to the types of deterioration exhibited by these paintings,” she said. 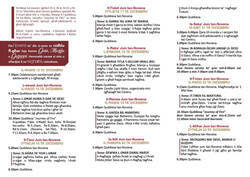 The fundraising campaign was launched by former Gozo minister and Heritage Malta chairman Anton Refalo. Ms Sciberras explained that every donor agency or individual donor stands to benefit from “exclusive opportunities”, including a high-end and long-term marketing campaign. Donations can be made through www.amysciberras.com. For more information, one may contact Ms Sciberras through the website. The Sacred Heart of Jesus church was built between 1902 and 1908 by the Vella family from Nadur. It is open daily for Mass.
" Il-Ministru għat-Turiżmu Konrad Mizzi qal fil-Parlament li fil-futur l-lukanda Selmun Palace, li tinsab fil-limiti tal-Mellieħa, se tintuża għal skopijiet turistiċi. Kien id-deputat Nazzjonalista u eks-Sindku tal-Mellieħa Robert Cutajar li staqsih fiex wasal il-proċess dwar il-bejgħ ta' dan il-post. Waqt li semma kif is-sit se jiġi wżat għal skop turistiku, Mizzi wieġbu wkoll li fix-xhur li ġejjin se jkunu qed isiru numru ta' produzzjonijiet internazzjonali tal-films fil-post. Il-Ministru għall-Infrastruttura Ian Borg qal li kien hemm erba’ applikazzjonijiet għal żidiet jew bini mill-ġdid ta’ lukandi fil-Mellieħa quddiem l-Awtorità Maltija tal-Ippjanar bejn l-2013 u Marzu ta’ din is-sena. Meta kien qed iwieġeb mistoqsija parlamentari tad-Deputat Nazzjonalista Robert Cutajar, il-Ministru qal li fl-istess perjodu, l-Awtorità approvat 9 applikazzjonijiet għall-istess tip ta’ żvilupp fil-Mellieħa iżda li ma kieux jikkonċernaw lukandi. Waħda minn dawn kienet lukanda li ġiet approvata l-ġimgħa li għaddiet, li qajmet kontroversja. Il-kunsill lokali kien ilu jipprova juża dan is-sit għall-faċilitajiet tal-komunità, u oġġezzjona għal dan il-proġett peress li deherlu li ma jmurx mal-bqija taż-żona. Waqt is-smigħ, il-Perit Carmel Cacopardo li kien qed jirrappreżenta lil dawk li oġġezzjonaw, insista li d-deċiżjoni tal-bord tmur kontra l-policies tal-pjan lokali li jipprojbixxi lukanda fis-sit. Il-Membru Parlamentari Nazzjonalista Robert Cutajar, li kien sindku tar-raħal, żied li ż-żona dejjem intużat għal użu residenzjali. "“Ħoblot muntanja biex twieled ġurdien”. Dan hu l-mod kif id-Deputat Nazzjonalista Chris Said, iddeskriva l-abbozz ta’ liġi li jemenda l-att dwar il-Kunsilli Lokali. Hu qal dan il-Gvern qed ikompli jnaqqar il-poteri tal-kunsilli lokali, fejn b’dan l-abbozz l-kumitati amministrattivi li huma madwar sittax, b’dan l-abbozz se jitneħħew. Id-Deputat Chris Said qal li kien hemm kumitati amministrattivi bħal dak ta’ Santa Luċija f’Għawdex u dak tal-Madliena li ħadmu tajjeb u issa b’dan l-abbozz se jispiċċaw. Dan hu pass ‘l quddiem jew lura?”. "Fl-indirizz tagħha waqt ir-Reconnaissance High Security Printing Conference li qed tiltaqa’ f’Malta, is-Segretarju Parlamentari għar-Riformi, Ċittadinanza u Simplifikazzjoni tal-Proċessi Amministrattivi, Julia Farrugia Portelli ħabbret li sa tmiem din is-sena se jibda l-proċess biex Malta jkollha karti tal-identità u passaporti ġodda, li huma teknoloġikament aktar avvanzati. Bħalissa qed jiġu finalizzati d-disinji u l-ispeċifikazzjonijiet tal-karta tal-identità l-ġdida, liema dokument se jkollu inkorporat fih dawk l-elementi kollha li huma identifikati fi proposta tal-Unjoni Ewropea sabiex tkun imsaħħa s-sigurtà tal-karta tal-identità. Sakemm ma jkun hemm l-ebda tibdil kbir fl-abbozz ta’ regolament, Malta qed tippjana li tkun fost l-ewwel Stati Membri li se tibda toħroġ dawn id-dokumenti ġodda, aktar tard din is-sena. Id-dokumenti ta’ identifikazzjoni u vjaġġar se jkunu nkorporati fuq polycarbonate card, permezz tat-teknoloġija bil-laser. Barra minn hekk, il-karta tal-identità l-ġdida se jkollha nkorporat fiha ċippa contactless, u dan sabiex ikunu jistgħu jittieħdu data biometriċi oħrajn. Dawn id-dokumenti se jkollhom fatturi ta’ sigurtà addizzjonali li se jkomplu jħarsu mill-iffalsifikar u l-iffrodar tal-identità tal-persuni. Kuntrarju għal dak li ġara fl-2014, meta kien hemm mass roll out, il-ħruġ tal-passaport u l-karta tal-identità l-ġodda se jsir gradwalment u fuq numru ta’ snin. Il-karti tal-identità u l-passaporti eżistenti se jibqgħu validi u jistgħu jibqgħu jintużaw sad-data tal-iskadenza tagħhom. Ġaladarba d-dokumenti jkunu f’ċirkulazzjoni, min imur japplika għall-ewwel darba jew iġedded il-passaport jew il-karta tal-identità tiegħu, l-Aġenzija Identity Malta se toħroġlu d-dokument il-ġdid mingħajr l-ebda ħlas addizzjonali. Is-Segretarju Parlamentari Farrugia Portelli għalqet billi enfasizzat li minkejja li l-karta tal-identità Maltija u l-passaport Malti huma kkunsidrati bħala dokumenti siguri ħafna, f’konformità mal-istandards ta’ sigurtà internazzjonali, Malta se tkun qed tagħmel pass avvanzat u proattiv fil-ħarsien tal-identità taċ-ċittadini. Is-Segretarju Parlamentari għar-Riformi, Ċittadinanza u Simplifikazzjoni tal-Proċessi Amministrattivi Julia Farrugia Portelli kienet qed tindirizza r-Reconnaissance High Security Printing EMEA Conference li bħalissa qed tiltaqa’ f’Malta fil-preżenza ta’ madwar 400 delegat minn 50 pajjiż differenti. ​Il-Parlament Ewropew appoġġja proposta biex tintemm il-bidla bejn il-ħin tas-sajf u l-ħin tax-xitwa fl-2021. Fi stqarrija, il-Parlament Ewropew qal li skont l-abbozz ta’ liġi approvat mill-Membri tal-Parlament Ewropew (MEPs) b’410 vot favur, 192 kontra u 51 astensjoni, il-pajjiżi tal-Unjoni Ewropea (UE) li jiddeċiedu li jżommu l-ħin tas-sajf tagħhom għandhom jagħmlu l-aħħar bidla tal-arloġġ tagħhom fl-aħħar Ħadd ta’ Marzu 2021. Dawk li jippreferu jżommu l-ħin tax-xitwa jistgħu jaġġustaw l-arloġġi tagħhom għall-aħħa darba fl-aħħar Ħadd ta’ Ottubru 2021. Il-MEPs appoġġjaw il-proposta tal-Kummissjoni biex itemmu l-bidliet fil-ħin staġjonali, iżda vvutaw li jipposponu d-data mill-2019 għall-2021. Skont il-PE, bi tweġiba għal inizjattivi taċ-ċittadini, fi Frar 2018, il-Parlament talab lill-Kummissjoni biex tivvaluta d-direttiva dwar l-arranġamenti tal-ħin tas-sajf u, jekk meħtieġ, tippreżenta proposta biex id-direttiva tiġi riveduta. Wara l-evalwazzjoni, li rċeviet 4.6 miljun tweġiba, li minnhom 84% kienu favur li jintemmu l-aġġustamenti tal-ħin, il-Kummissjoni ressqet il-proposta, li issa jeħtieġ li jkun hemm qbil dwarha bejn il-Parlament u l-ministri tal-UE. "Il-Gvern qed jipproponi li mill-elezzjoni ġenerali li jmiss jiżdiedu sa mhux aktar minn 12-il deputat mara jekk dawk li jkunu ġew eletti ma jilħqux l-40% tad-deputati kollha parlamentari. Fil-preżent il-Parlament huwa iffurmat minn 67 membru parlamentari li minnhom disgħa biss huma nisa. Dan ifisser li Malta għandha 15% biss tad-deputati nisa meta l-medja fl-UE tilħaq it-30%. Il-kumitat li ħareġ b'din il-proposta qed jissuġġerixxi li dan ikun japplika għas-sess “sotto-rappreżentat” jiġifieri jekk jiġri bil-maqlub u jkun hemm nuqqas ta' deputati rġiel il-mekkaniżmu jaħseb għal żieda fir-rappreżentanti parlamentari rġiel. Biex din is-sistema tidħol fis-seħħ irid ikun hemm qbil mal-Oppożizzjoni peress li biex l-emendi jidħlu fil-Kostituzzjoni hemm bżonn l-approvazzjoni taż-żewġ terzi tal-Parlament. Kienu l-Prim Ministru Joseph Muscat u s-Segretarju Parlamentari għar-Riformi, Ċittadinanza u Simplifikazzjoni tal-Proċessi Amministrattivi Julia Farrugia Portelli li ħabbru din ir-riforma wara li l-Partit Laburista wiegħed fil-manifest elettorali tal-2017 li kien se jindirizza n-nuqqas ta' nisa fil-Parlament. Muscat iddeskriva l-miżuri proposti bħala “bidliet ambizzjużi u li jixxukkjaw is-sistema preżenti” waqt li għamilha ċara li ħadd mhu se jieħu post ħadd u ebda persuna eletta mhu se jitteħdilha postha. Huwa sostna li b'dawn il-miżuri se jiggwadanja l-poplu għax il-pajjiż għandu bżonn ideat differenti biex ikompi jitkattar il-ġid. Waqt li semma kif huwa jistenna li jkun hemm min ikun kontra, Muscat esprima l-fiduċja tiegħu li l-Gvern u l-Oppożizzjoni jilħqu ftehim. Muscat semma li r-riforma proposta għandha l-approvazzjoni tal-Kabinett u tal-PL, li anke wegħdha fil-manifest elettorali, u iddikjara li jekk ma nagħmlux il-bidliet issa ma jafx meta se nagħmluhom. Min-naħa tagħha, Farrugia Portelli rrimarka li bħala mara u omm ta' tifla ta' ħames tixtieq li nisa oħra joħorġu għall-politika bl-inqas diffikultajiet possibbli. Hija esprimiet il-konvinzjoni tagħha li bi ftit “xokkijiet fis-sistema” naslu għall-mira li jkollna aktar nisa fil-Parlament u b'hekk ma nibqgħux nitilfu aktar riżorsi. Waqt li qalet kif hija diżappuntata li fi 72 sena kellna biss 27 deputat mara fil-Parlament fakkret li sa 10 snin oħra Malta trid tilħaq il-mira tal-Ġnus Maqgħuda ta' nofs id-deputati li jkunu nisa. Farrugia Portelli lmentat ukoll mill-klima fil-Parlament li mhix 'family friendly' u qalet li ma tistax tifhem kif binja li ġiet tiswa €90 miljun m'għandix faċilitajiet bażiċi għal min għandu t-tfal. Hija saħqet li b'din ir-riforma l-Gven irid jheżżeż l-'status quo' u bħall-Prim Ministru esprimiet il-konvinzjoni tagħha li flimkien mal-Oppożizzjoni nistgħu naslu biex ikollna parlament aktar rappreżentattiv. Il-Professur Carmen Sammut, li mexxiet il-kumitat li ħareġ b'din il-proposta fost oħrajn, irrimarkat li huma ħarġu b'pakkett ta' miżuri pożittivi aktar milli kwoti immirati biex iwasslu għal riżultati malajr biex is-sitwazzjoni tiċċaqlaq. Sammut sostniet li l-ewwel mira hija li nilħqu dik li tissejjaħ 'critical mass' ta' 33% jiġifieri li jkun hawn dan l-ammont ta' nisa eletti fil-Parlament għax jirriżulta li jekk jintlaħaq dan l-ammont ikun aktar faċli li fil-futur jintlaħqu l-miri l-oħra. Hija żieda li t-tieni mira hija li ż-żewġ sessi jiksbu 40% tar-rappreżentanza fil-Parlament u rrimarkat li kieku din is-sistema kienet fis-seħħ fl-aħħar elezzjoni kienu jitilgħu 12-il kandidat mara u minn 15% konna nitilgħu għal 28%. Profs. Sammut semmiet ukoll kif ir-riforma tinkludi dik li tissejjaħ 'sunset clause' fejn wara 20 sena l-gvern tal-ġurnata jiddeċiedi jekk għandnix inżommu s-sistema jew le. Il-proposti tal-kumitat mhux se jbiddlu l-mod kif jiġu eletti d-deputati sal-istadju tal-elezzjonijiet każwali imma jaħsbu għal dak li se jiġri wara f'każ li sa dan l-istadju ma tkunx għadha ntlaħqet l-40% ta' deputati nisa. F'dan il-każ is-sistema se tħares lejn dawk li jissejħu bħala “voti moħlija” fejn fl-ewwel stadju jkunu eletti dawk il-kandidati nisa li jkunu baqgħu mdendla. Jekk anke hawn ma jkunux eletti biżżejjed nisa s-sistema tgħaddi għat-tieni stadju fejn il-voti moħlija tal-kandidati mdendla rġiel li ma jkunux telgħu jinfetħu biex jingħaddu l-voti tan-nisa li għadhom ma telgħux. It-tielet stadju jaħseb għall-ftuħ tal-voti moħlija tal-kandidati nisa u rġiel li jkunu baqgħu mdendla imma li jkunu diġa telgħu fil-Parlament permezz ta' elezzjoni każwali. S'issa dawn il-pakketti tal-voti ma jintużawx. Suġġerimenti oħra li ħareġ bihom il-kumitat huma inċentivi finanzjarji lill-partiti politiċi biex iħarrġu aktar nisa biex jikkontestaw l-elezzjonijiet, iktar miżuri 'family friendly' fil-Parlament inkluż l-għażla jekk id-deputati jkunux fultajm jew le kif ukoll li l-Kummissjoni Elettorali jkollha l-poter li tassigura li l-partiti politiċi qed jużaw il-fondi allokati biex jinċentivaw lin-nisa. Minbarra l-Professur Sammut, il-kumitat li ħareġ b'dawn il-proposti kien jinkludi wkoll bħala membri lil Dr Jonathan Attard, il-Professur Frank Bezzina, Dr Josianne Cutajar, Dr Lara Dimitrijevic, Renee Laiviera, Dr Robert Musumeci u Lorraine Spiteri waqt li l-Avukat Austin Bencini kien il-konsulent legali dwar il-Kostituzzjoni ta' Malta. Raġel tilef ħajtu wara li waqa’ 3 sulari f’sit tal-kostruzzjoni f’San Ġiljan. Kelliem għall-Pulizija kkonferma li dan ġara fi Triq Francis Zammit fit-3pm. Il-vittma hu Taljan li kellu madwar 40 sena u joqgħod San Ġiljan. Huwa kien qiegħed fis-sit fuq xogħol. Ambulanza u uffiċjali tal-Pulizija marru fuq il-post, fit-tieni inċident serju f’sit tal-kostruzzjoni f’ġurnata wara li dalgħodu kien hemm inċident simili f’Tas-Sliema. Il-vittma ġie ċċertifikat mejjet fuq il-post. Se tinfetaħ inkjesta fuq il-każ ippreseduta mill-Maġistrat R. Montebello. The unveiling was carried out by the Minister for Gozo Dr Justyne Caruana, who remarked that the monument was now “in the place it deserves.” The ceremony also included the laying of wreaths.The monument was originally in position at the Wistin Camilleri Gozo Centre for Arts and Crafts, where it was inaugurated in December 2009, in commemoration of the 20 years since the opening of school, as well as thirty years since the death of Wistin Camilleri whom the school is named after. Rules for foreign-owned propertyDuring the pre-2004 accession negotiations with the EU, Malta successfully negotiated a special deal with Brussels to protect Maltese citizens from foreign land and property speculators. The Mistra Village story so farOriginally built in the 1980s, Mistra Village was developed into a tourist complex by the Corinthia Group of Companies. Though at first it was successful, it had started to decline in popularity along the years, closing doors in the early 2000s. What the law statesAny non-resident person wishing to acquire immovable property in Malta needs to fill in the necessary forms issued by the Finance Ministry. Il-Kap tal-Partit Nazzjonalista Adrian Delia qal li wara l-pressjoni li saret mill-Oppożizzjoni, il-Gvern ma kellux għażla ħlief li jimplimenta t-tibdiliet li ssuġġerixxiet il-Kummissjoni Veneza. Skont Delia, dawn kienu simili għal dawk li l-PN kien ilhu xhur jgħid lill-Gvern biex iwettaq. Fi stqarrija, il-PN qal li Delia tkellem dwar dan waqt attività politika fiż-Żurrieq. Skont Delia, il-Kummissjoni Venezja tkellmet dwar il-bżonn li jitneħħa l-irwol doppju tal-avukat ġenerali. Fi kliem Delia, l-Oppożizzjoni ilha tikkritika dan il-kunflitt ta’ interess fejn l-avukat ġenerali huwa l-avukat tal-gvern u fl-istess ħin jiddeċiedi jekk jieħux passi kontra membri tal-istess gvern. Delia qal li l-Ministru għall-Ġustizzja Owen Bonnici qal li dan huwa gvern riformista. Delia qal li l-liġijiet ma jfissru xejn jekk il-Gvern ma jkollux ir-rieda li jwettaq l-ispirtu tagħhom. Delia qal li filwaqt li Bonnici jgħid li l-Gvern biddel is-sistema li biha jintgħażlu l-ġudikanti, l-Imħallef Emeritu Giovanni Bonello qal li din is-sistema wasslet biex jintgħażlu n-nies li jrid il-Gvern. Skont il-Kummissjoni Venezja, fl-10 ta’ Ottubru tal-2018, iċ-Chairperson tal-Kumitat għall-Affarijiet Legali u għad-Drittijiet Umani tal-Assemblea Parlamentari tal-Kunsill tal-Ewropa (PACE) talbet opinjoni tal-Kummissjoni Venezja dwar il-kostituzzjoni Maltija u s-separazzjoni tal-poteri. Video Copyright Carmel Saliba 9.3.19. Top row: Street in Senglea, the Maltese Islands from air and Ramla Bay view in Gozo. Bottom row: Filming Games of Thrones at the former Gozo's Azure Window, Valletta and Mellieha Bay by night. Il-President Marie-Louise Coleiro Preca ltaqgħat mal-Papa Franġisku fil-Vatikan fejn fost oħrajn iddiskutew l-immigrazzjoni fil-Mediterran. Il-laqgħa saret biss ftit ġimgħat qabel jiġi fit-tmiemu t-terminu tal-President. Fi stqarrija l-Uffiċċju tal-President qal li Coleiro Preca u l-Papa kellhom diskussjoni dwar ir-relazzjonijiet bejn Malta u l-Vatikan kif ukoll temi li jaffettwaw is-sitwazzjoni preżenti fil-Mediterran bħall-immigrazzjoni. Tema oħra li ġiet diskussa bejn il-President u l-Papa Franġisku kienet l-bżonn ta’ iktar kollaborazzjoni biex ikompli jiġi żviluppat id-djalogu bejn il-gruppi ta’ fidi differenti, bil-President tippreżenta kopja tal-ewwel dikjarazzjoni nazzjonali inter-reliġjuża li kienet iffirmata mill-mexxejja tal-komunitajiet reliġjużi differenti f’Malta. Huma ddiskuttew ukoll kif jista’ jkun hemm iktar kollaborazzjoni bejn il-Knisja u l-Istat biex b’hekk ikun hemm iktar progress fil-qasam soċjali, kulturali kif ukoll spiritwali, speċjalment fost iż-żgħażagħ. Il-President kienet akkumpanjata mill-Ministru għall-Affarijiet Barranin Carmelo Abela u l-Ambaxxatur Malti fil-Vatikan Frank Zammit. Hi ltaqgħat ukoll mas-Segretarju tal-Istat tal-Vatikan Pietro Parolin li kien akkumpanjat mill-Monsinjur Antoine Camilleri, kif ukoll mal-President Taljan Sergio Mattarella. “The principle that the people of our islands should have an equitable adequate access to administrative, educational, health and transport services, is absolute and should not be conditioned by the presence of any one means of connectivity,” it emphasized.